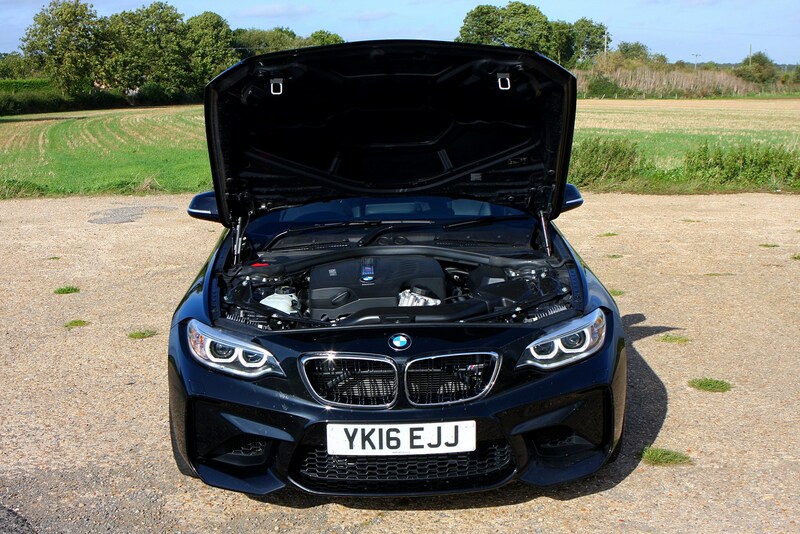 Insurance group: 42 How much is it to insure? 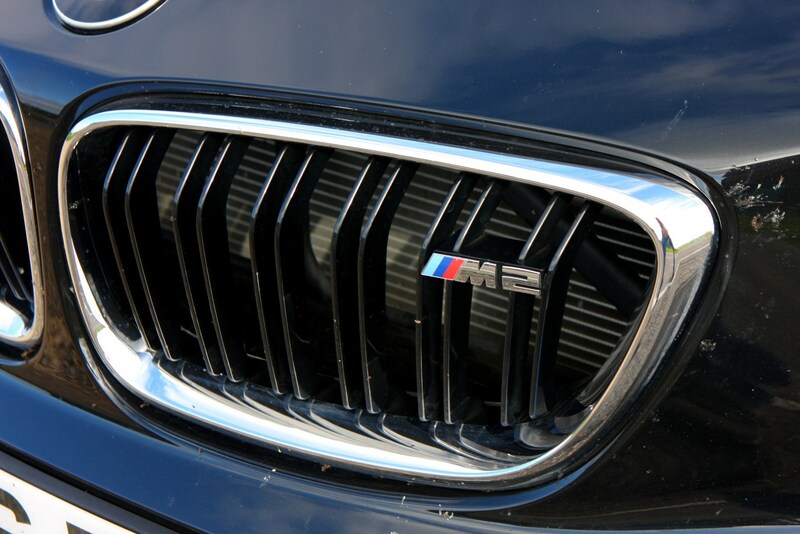 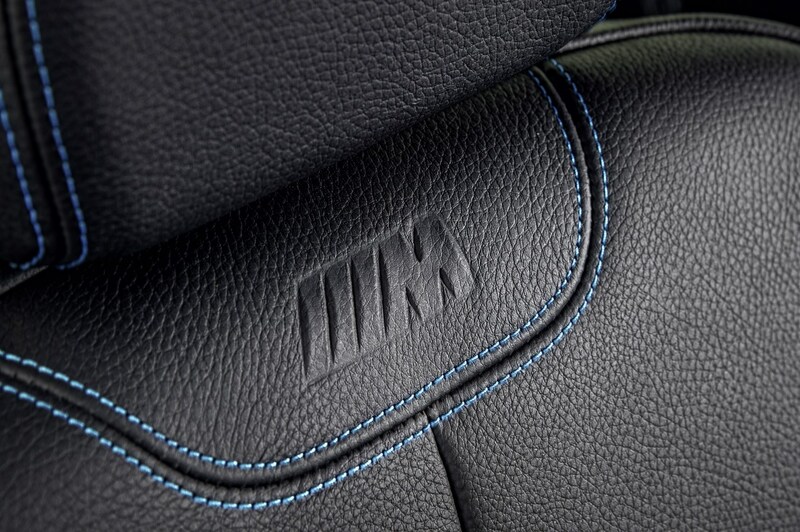 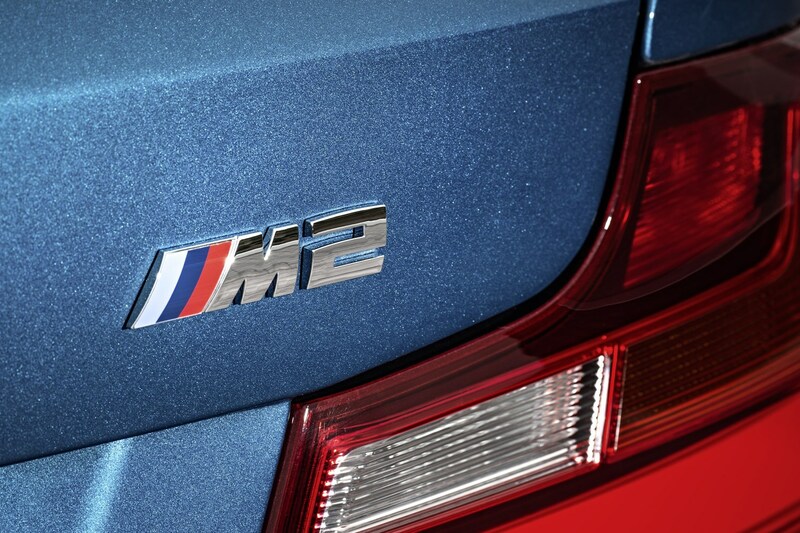 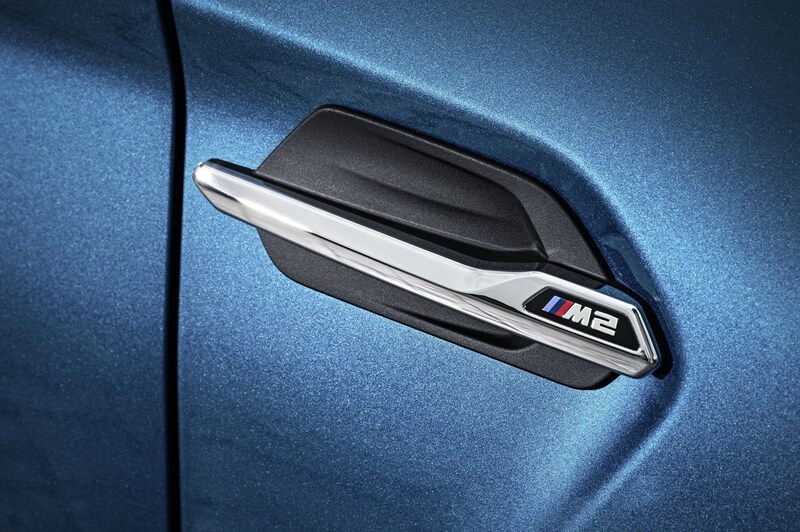 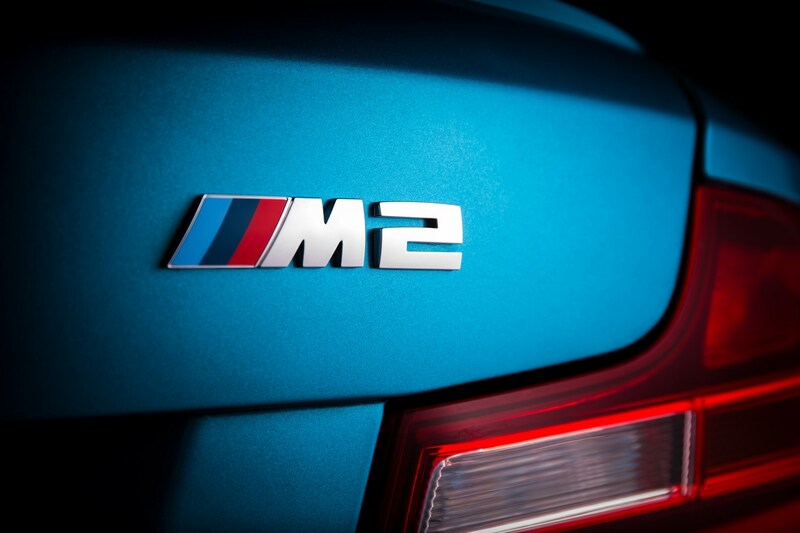 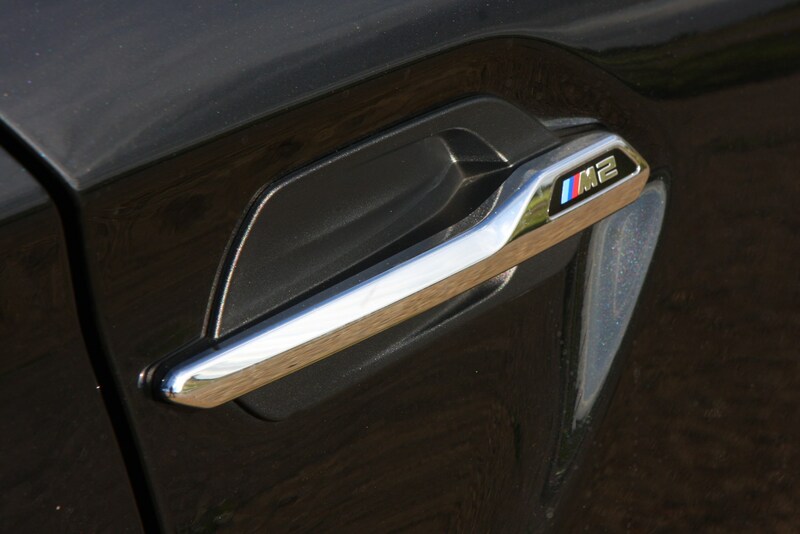 A new M car from BMW is always an exciting prospect. 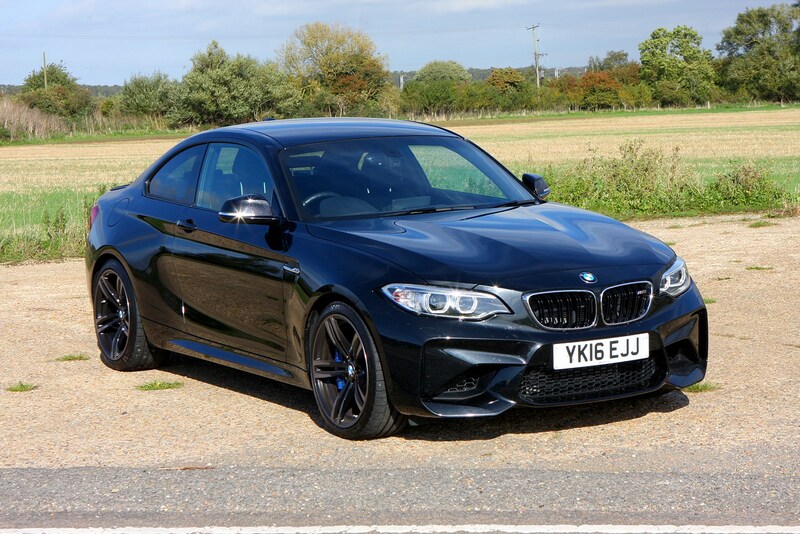 Known for their powerful engines and pin-sharp handling, they’re often styled in a manner that is purposeful but reserved, flying under the radar unless you really know what to look for. 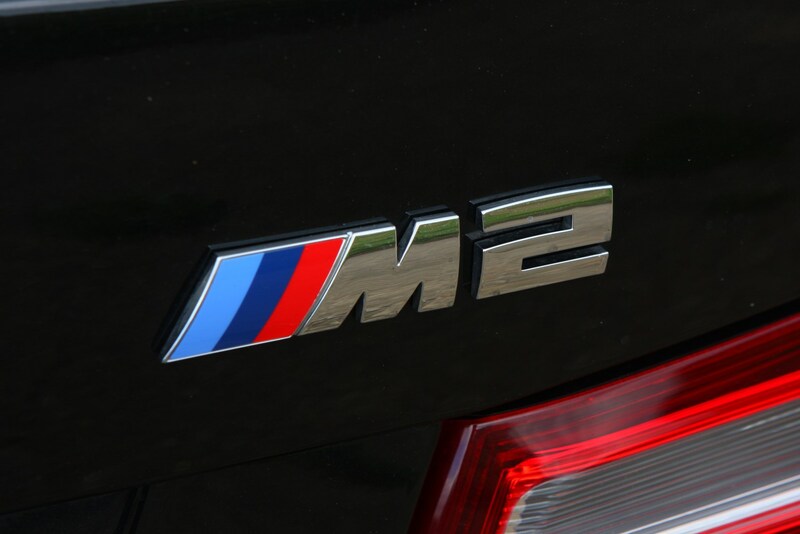 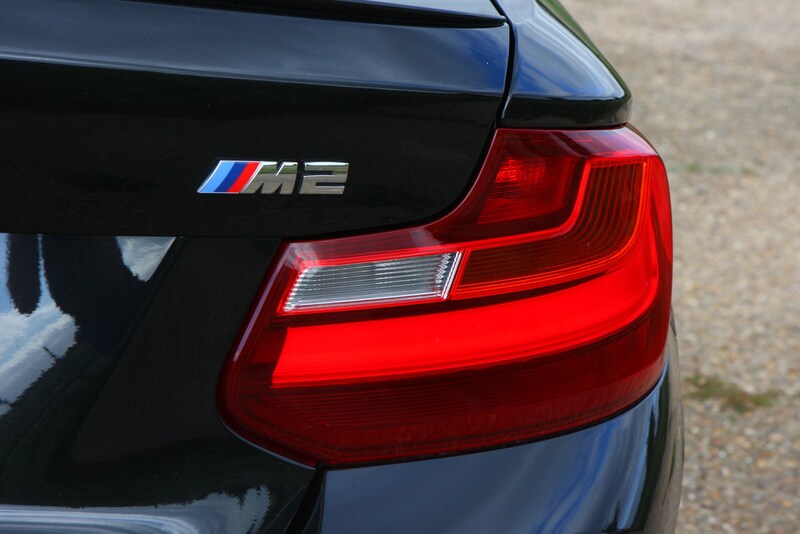 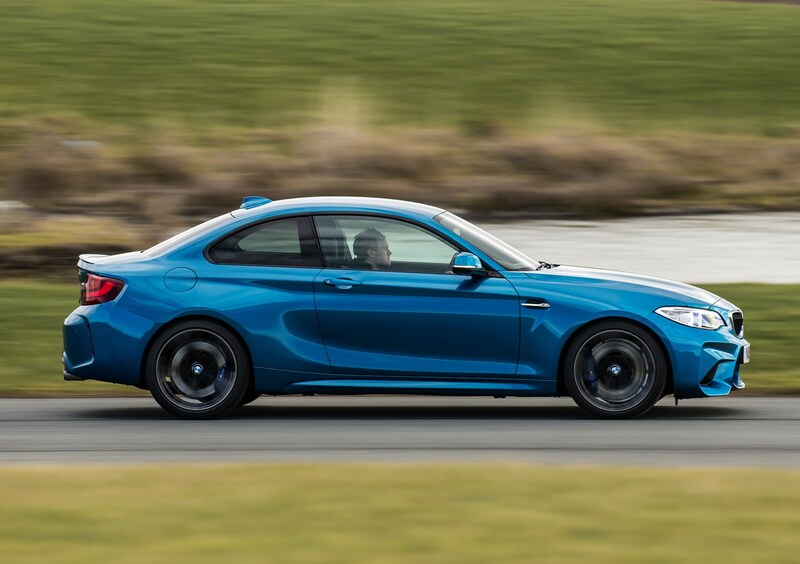 Cars like the M3 and M5 have become household names in enthusiasts’ circles, however, because more often than not they’re close to the top of the class when it comes to practical performance cars. 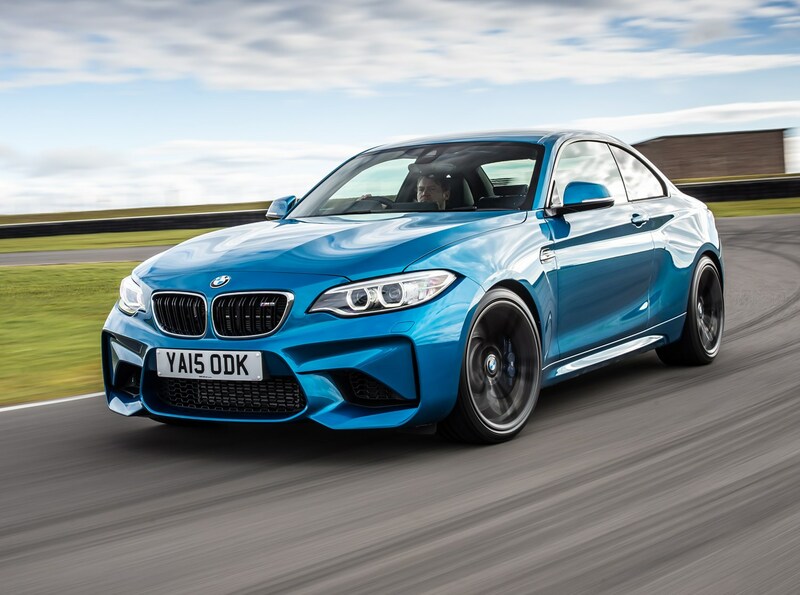 Sporting a name not previously seen in the Bavarian brand’s range, the BMW M2 represents the new entry-level model in the M line-up. 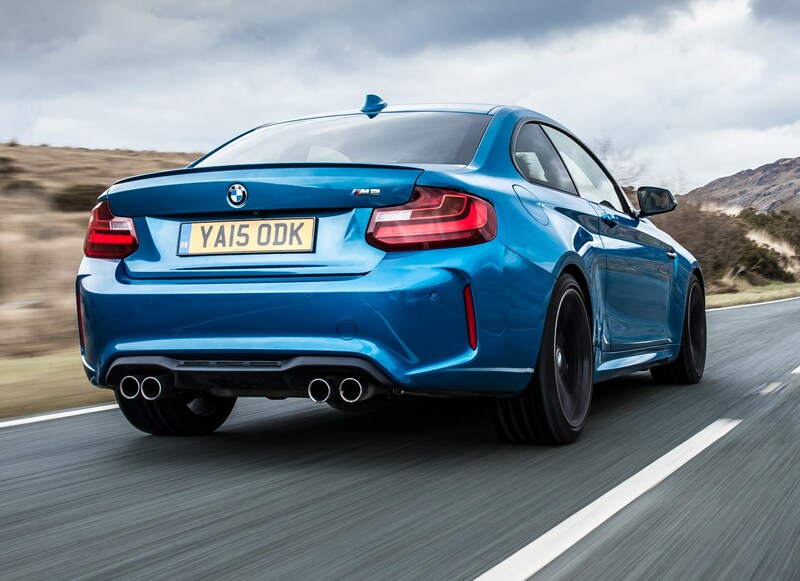 A rival in terms of price for the Mercedes-AMG A45 and the Audi RS 3 Sportback, effectively it’s a 2-Series Coupe, but the firm’s M division has radically redesigned much of the car with keen drivers in mind. 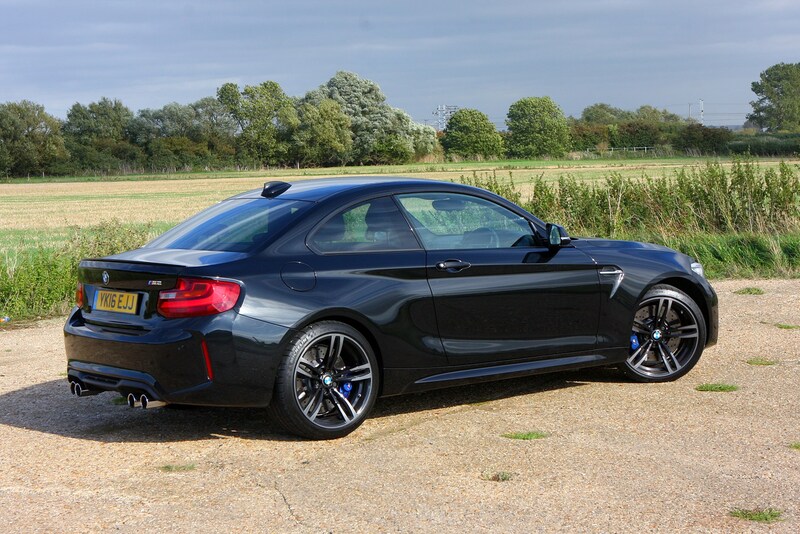 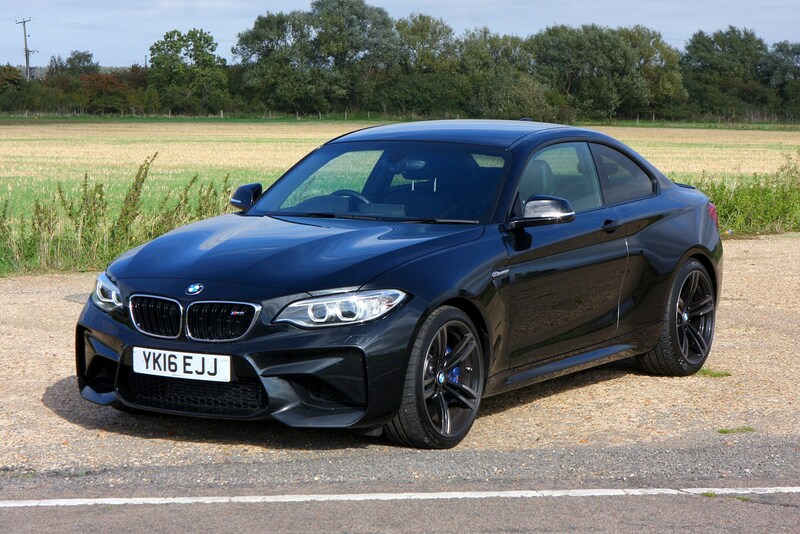 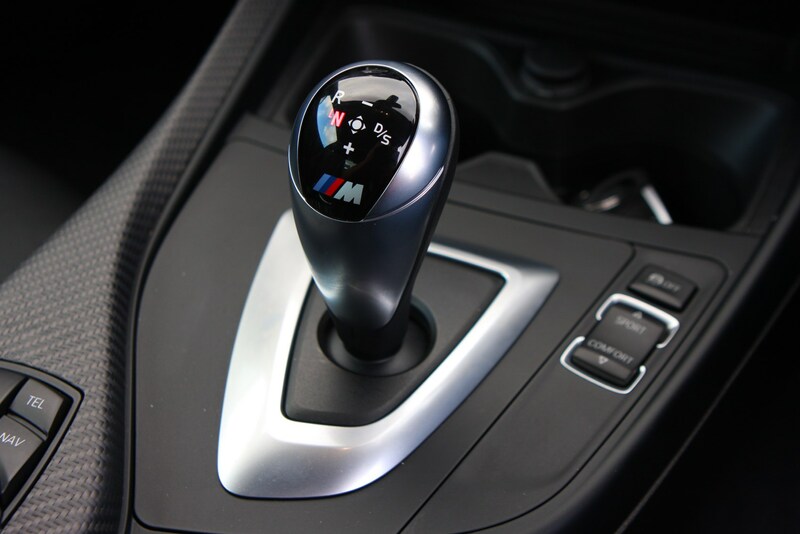 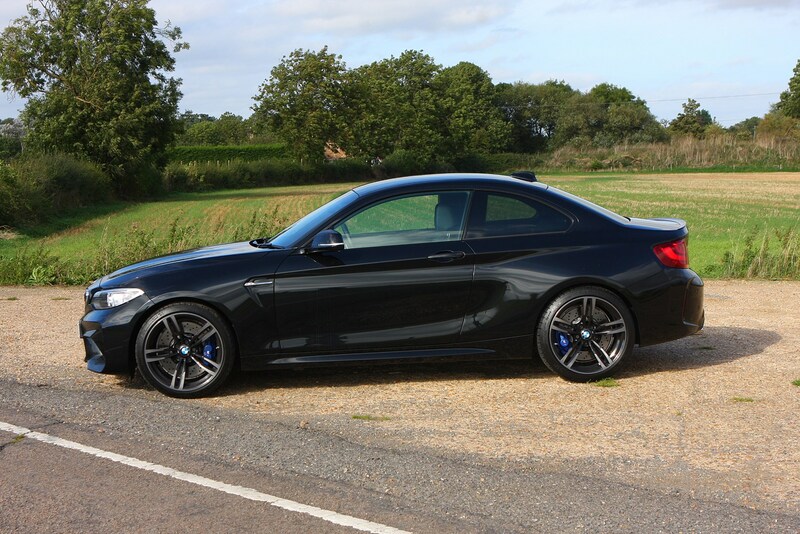 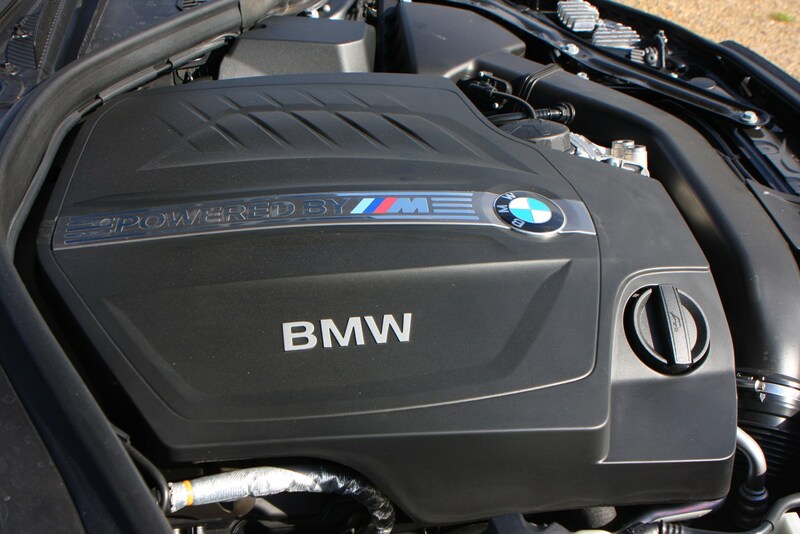 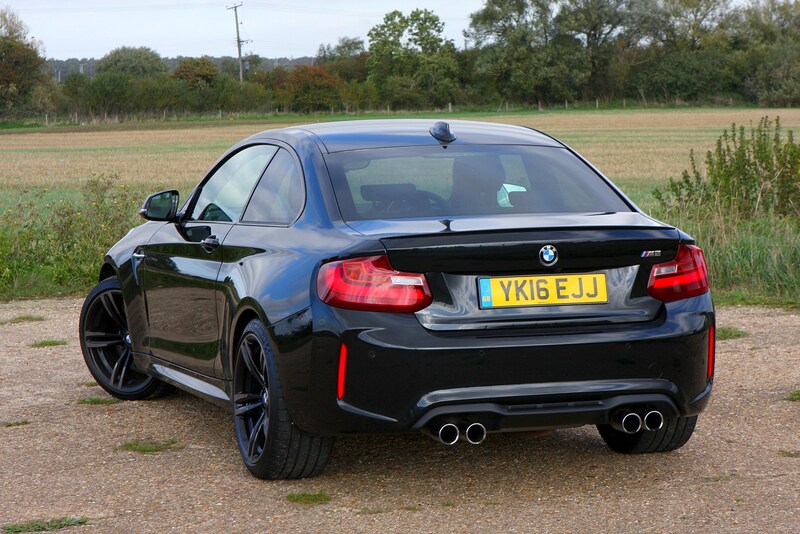 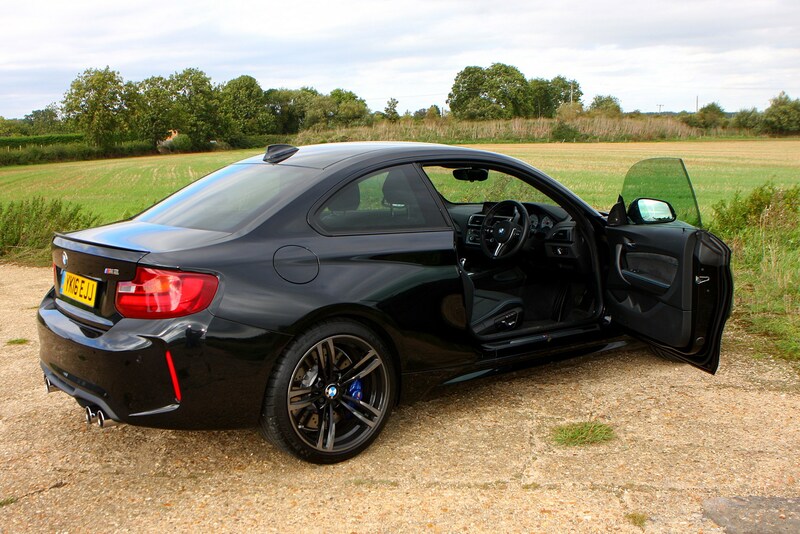 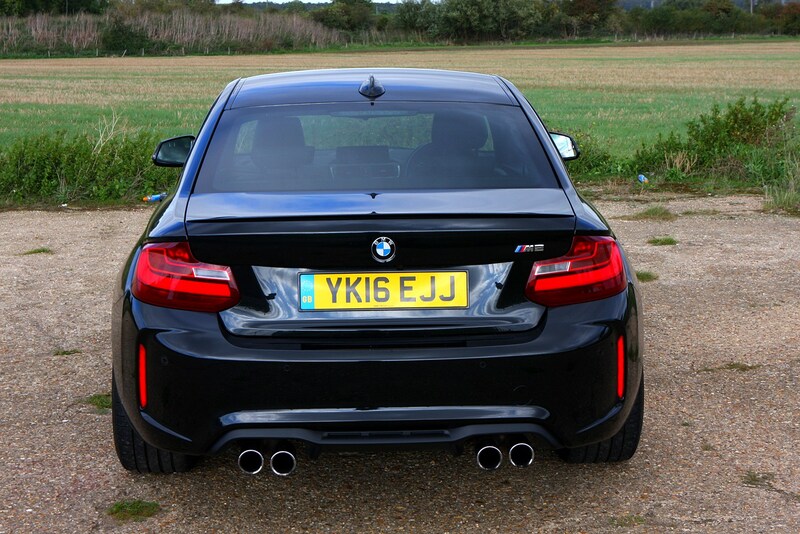 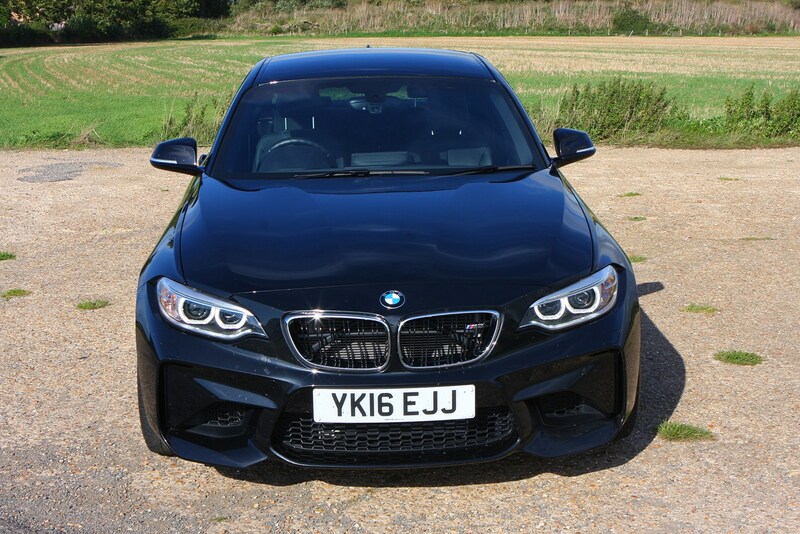 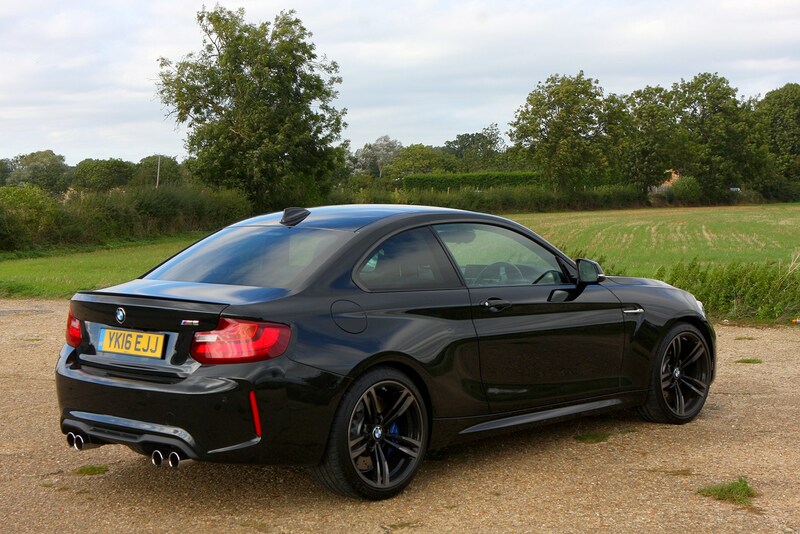 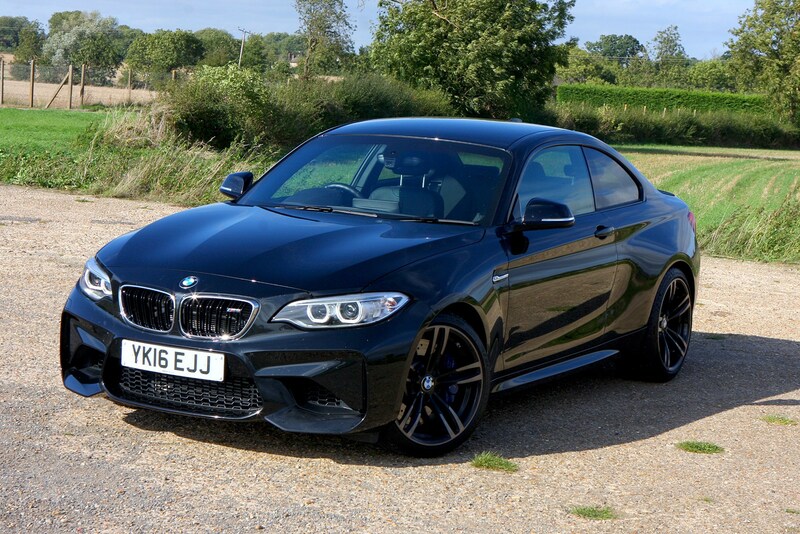 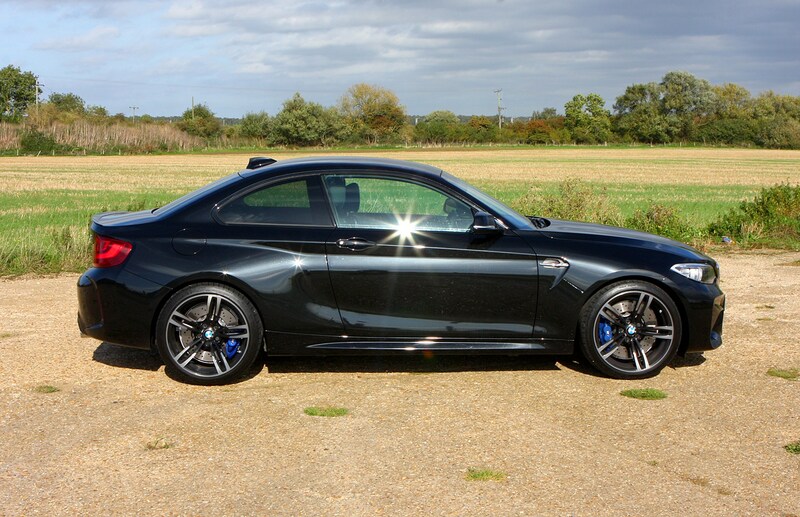 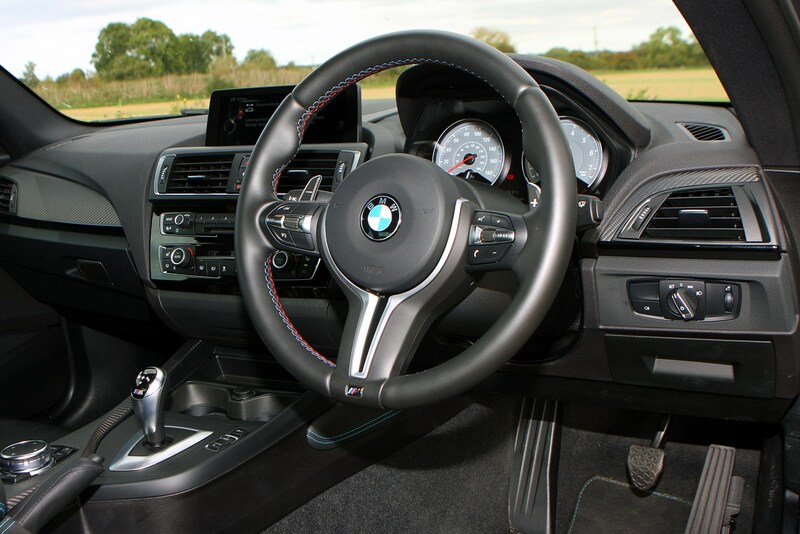 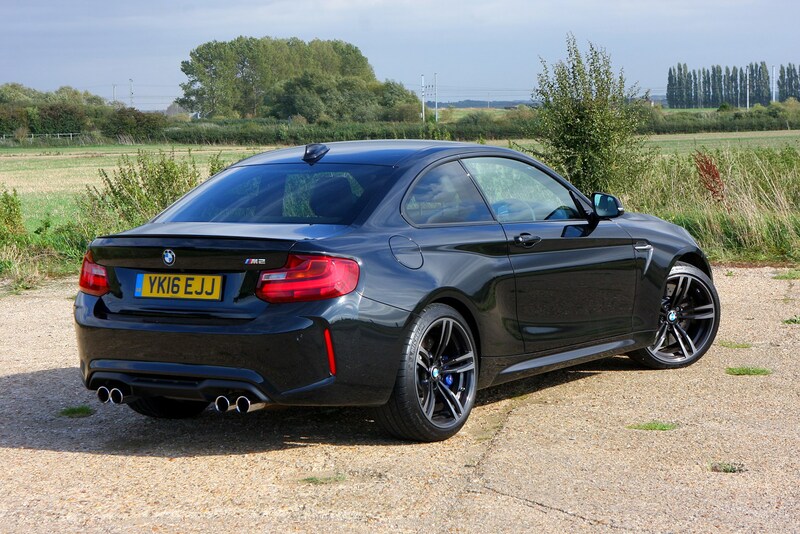 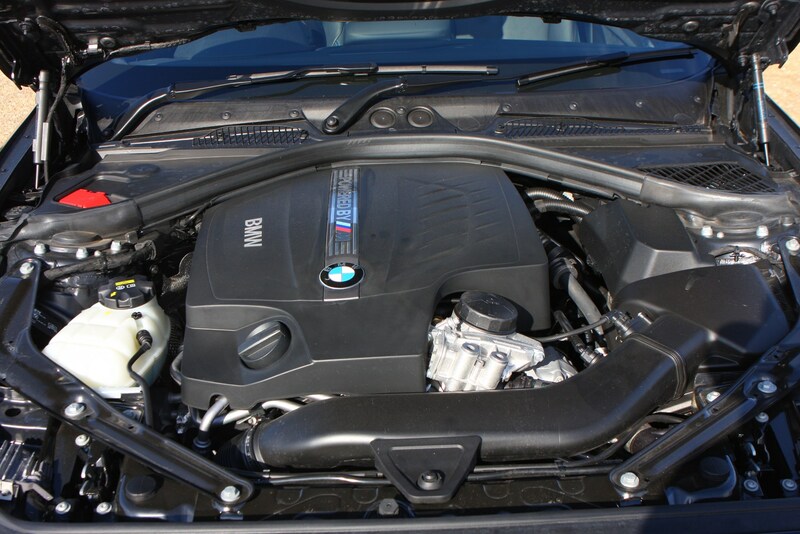 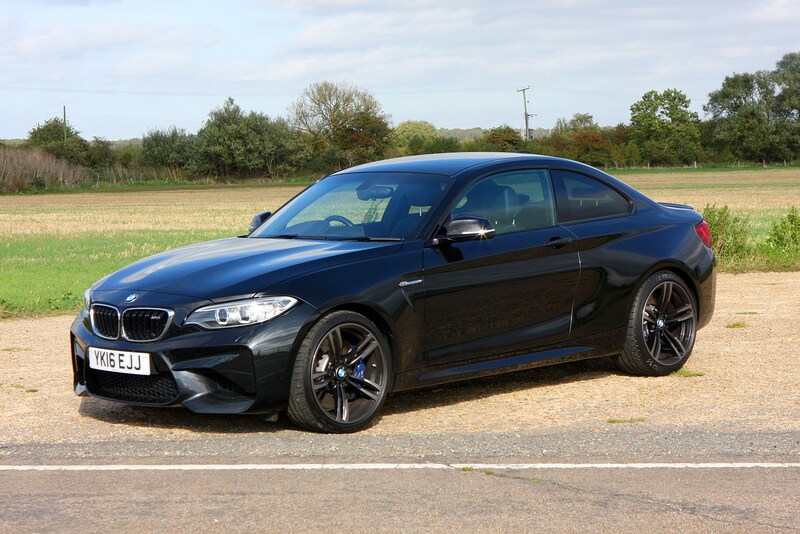 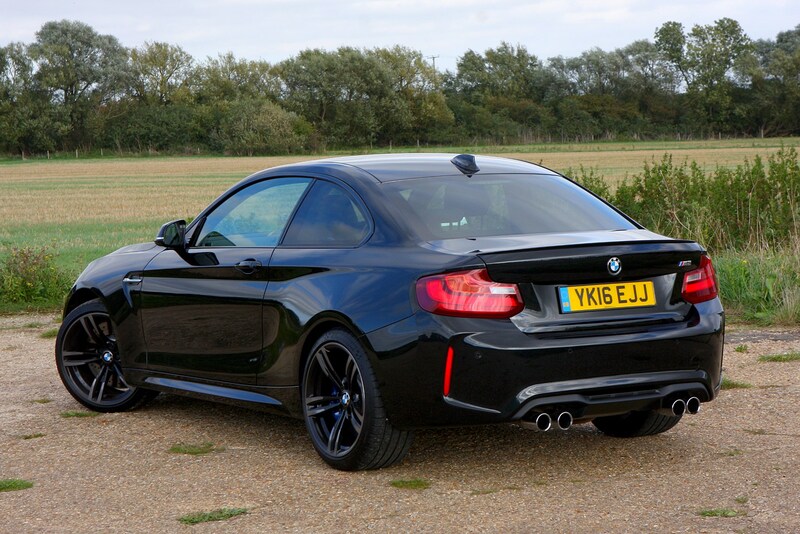 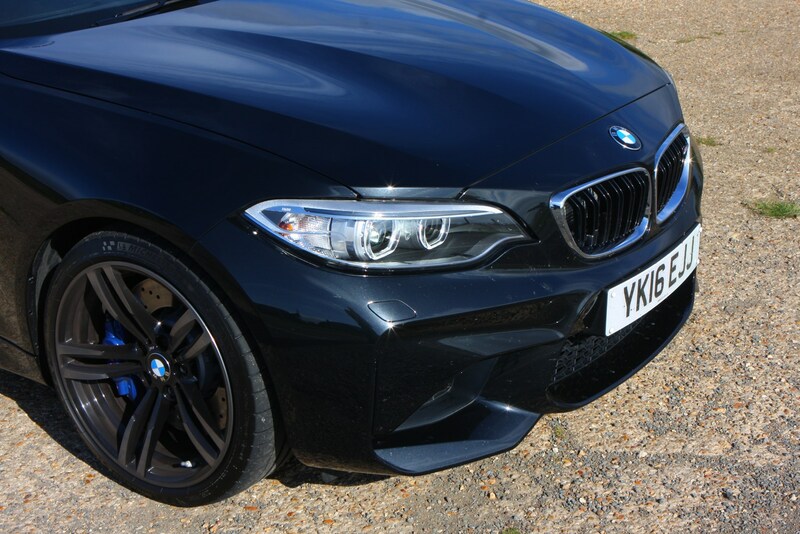 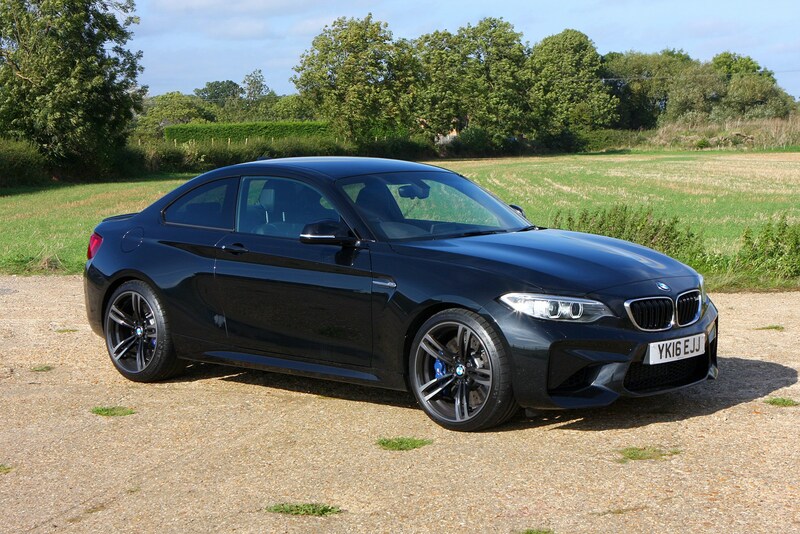 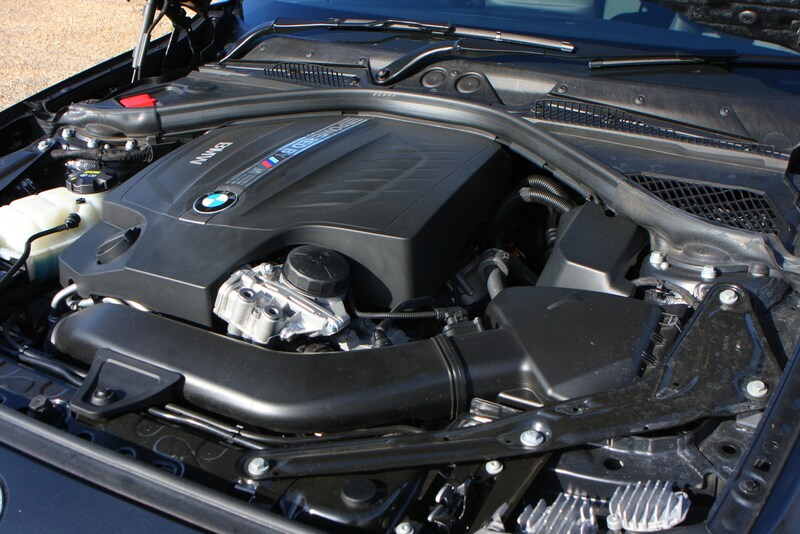 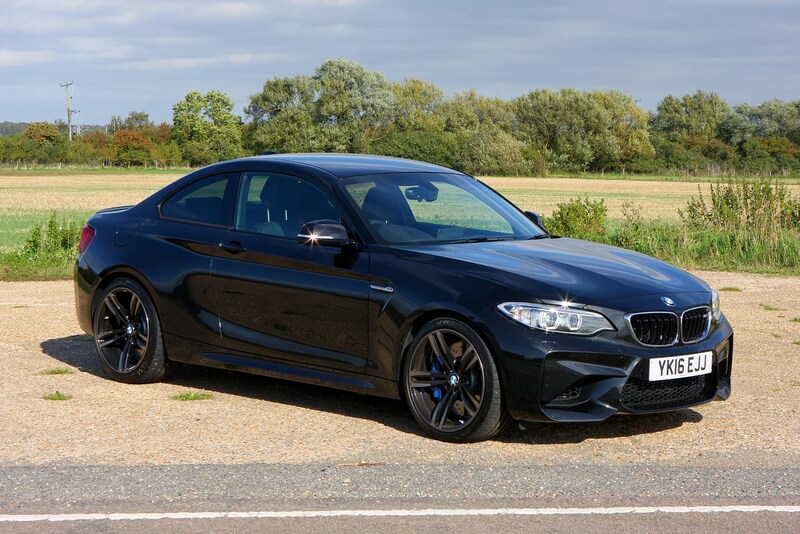 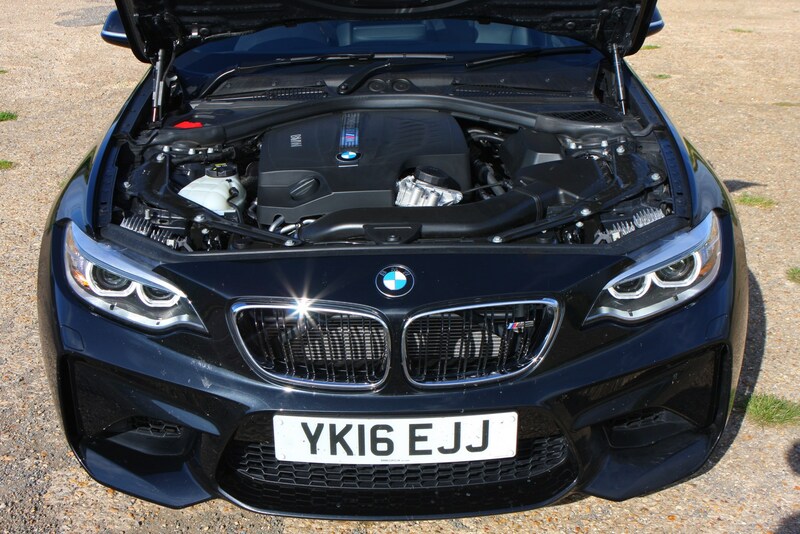 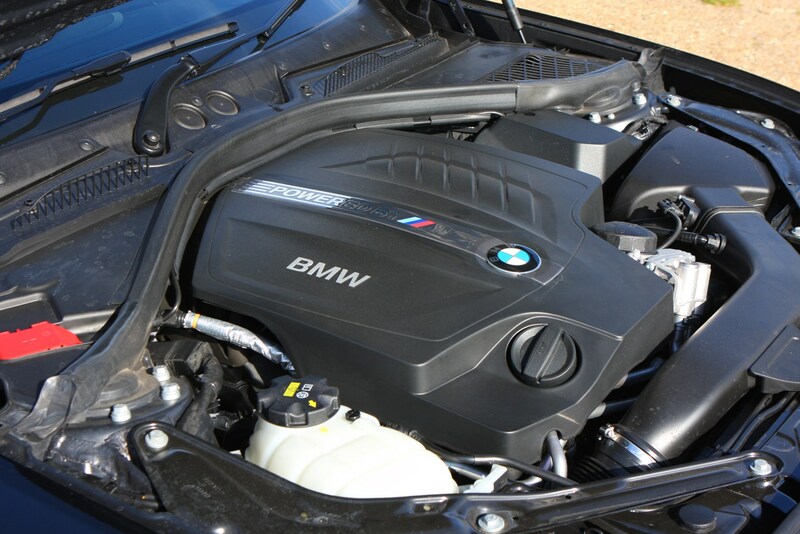 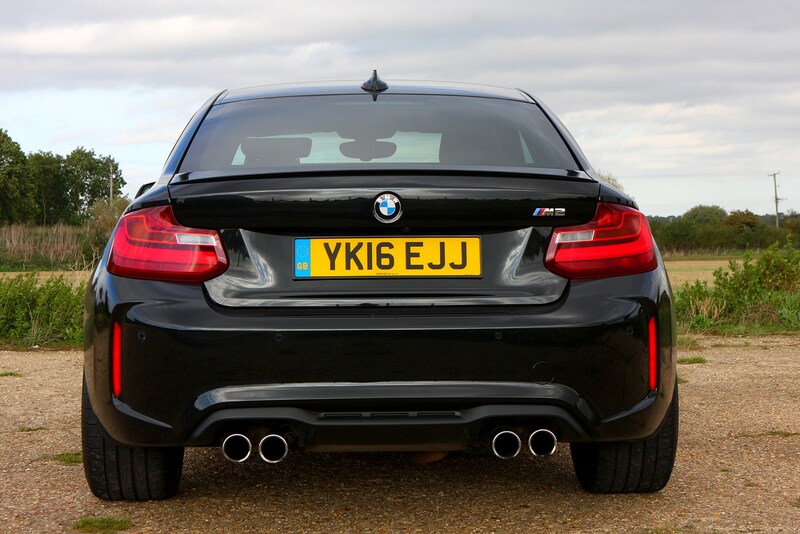 The engine and standard manual gearbox are heavily re-worked items from the already seriously good M235i, but there are also numerous bits from the M3/M4 to provide levels of performance not previously possible. 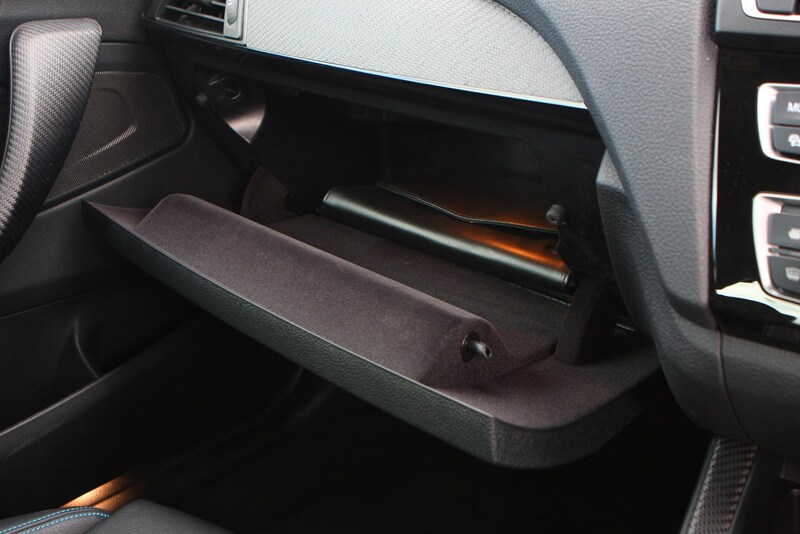 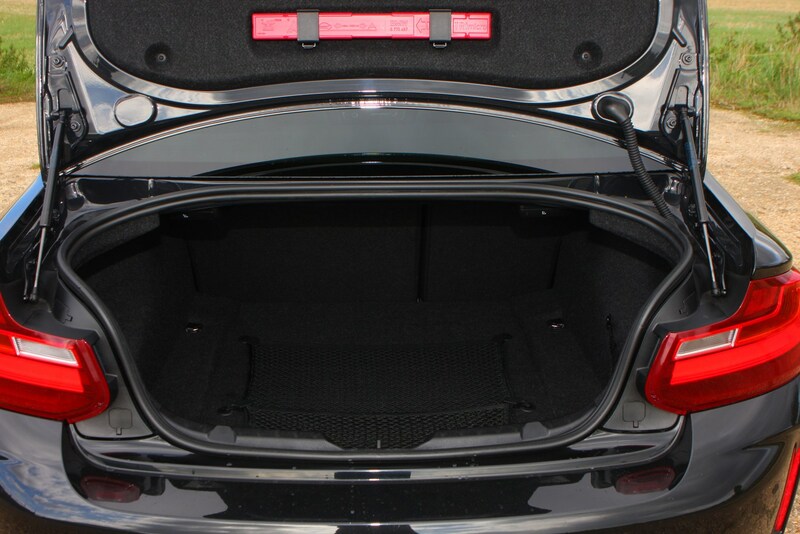 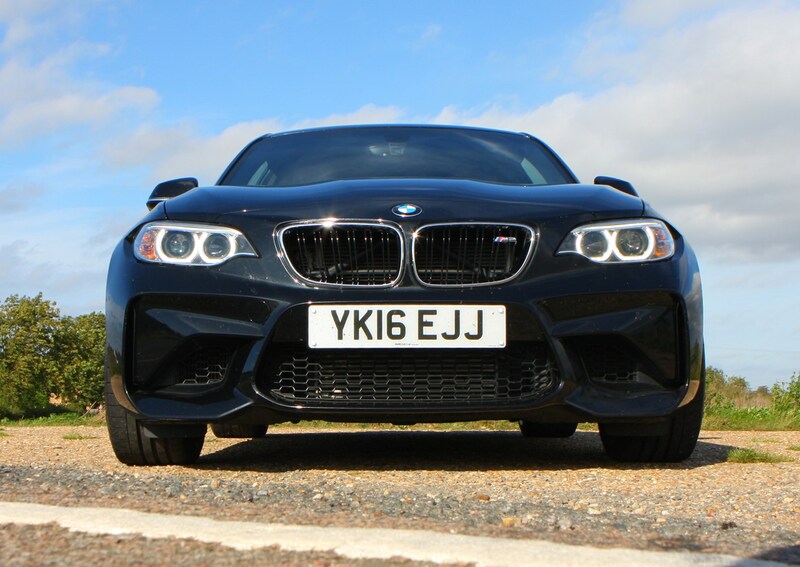 It’s far better to drive than the pair of hatchbacks mentioned above. 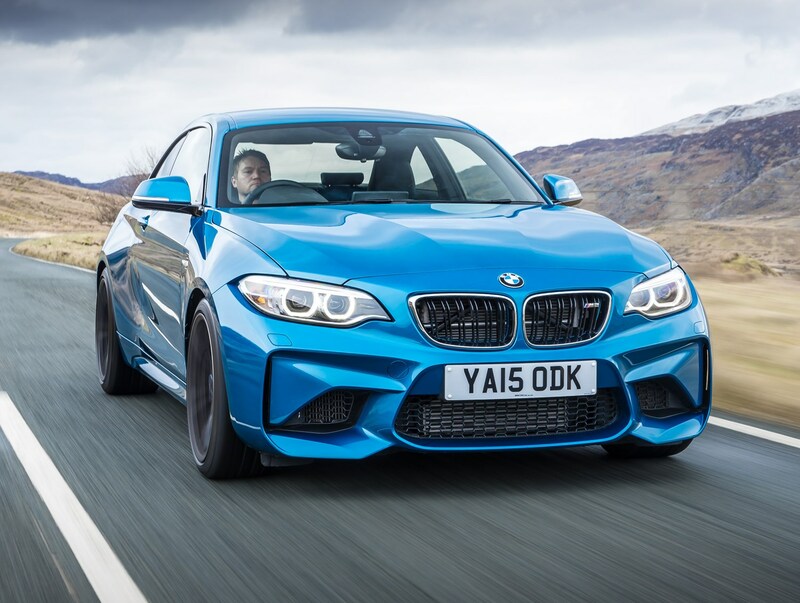 In terms of engagement you’re looking at competitors such as the Porsche 718 Boxster, Jaguar F-Type R and Ford Focus RS instead – three of the best-driving cars currently on sale for reasonable money. 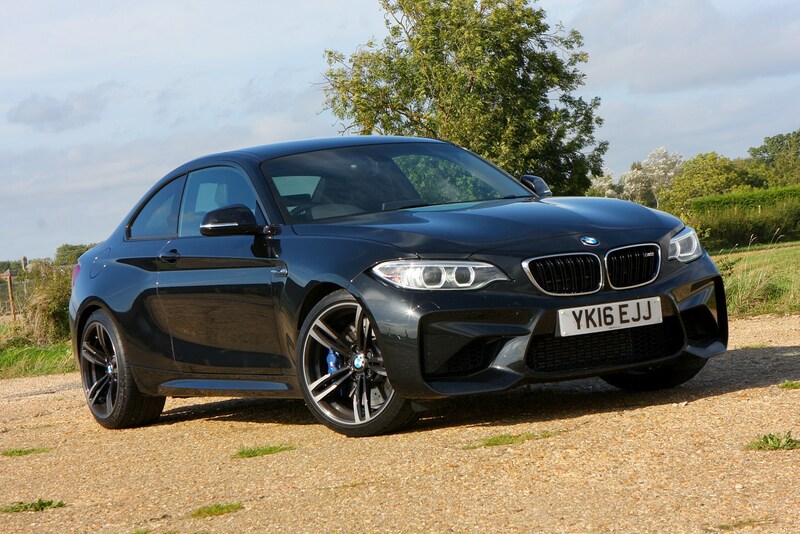 That the M2 manages not only to hold such company but in many respects to beat it is testament to the fact that this car’s design is anything but ‘entry-level’ in its execution. 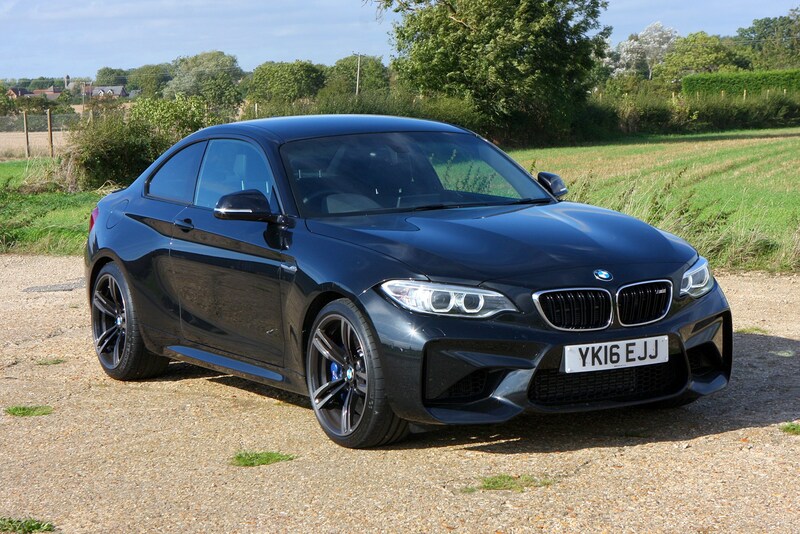 Powered by a 365bhp 3-litre, six-cylinder turbocharged petrol engine that sends power exclusively to the rear wheels, you’ve got the option of a six-speed manual gearbox or a seven-speed automatic called DCT that costs extra, but we’d stick with the former unless you spend a lot of time on the motorway. 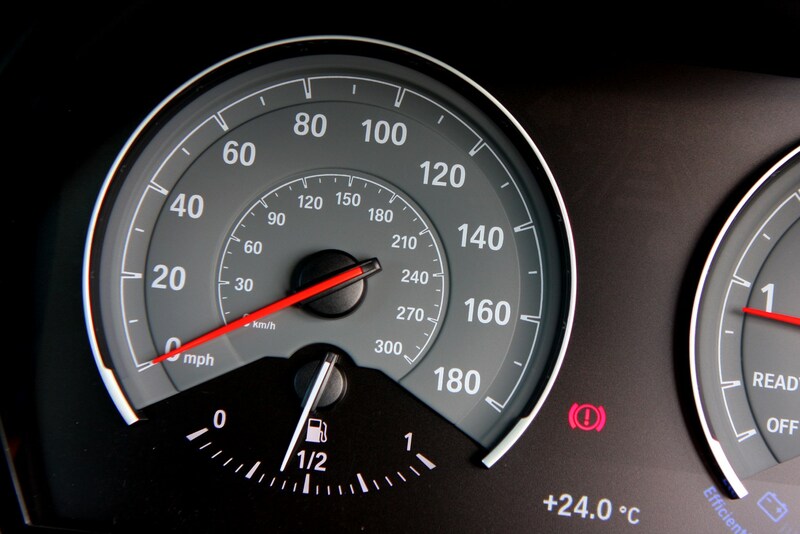 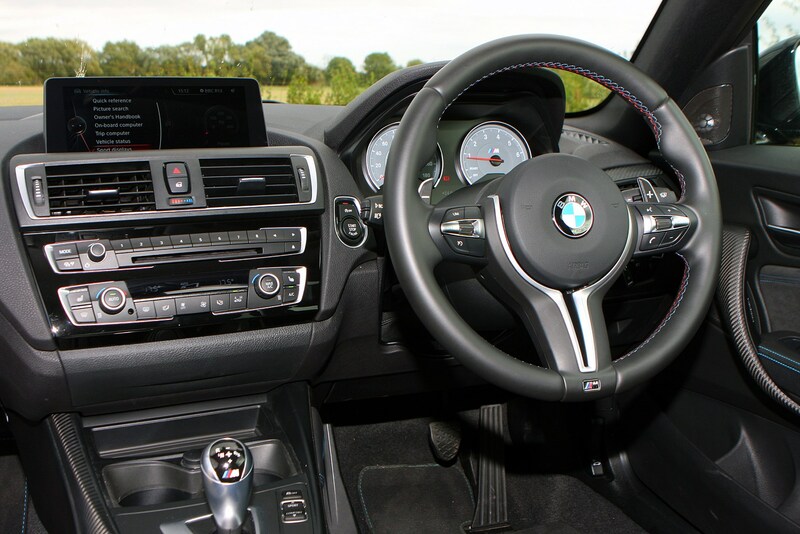 It’s better to drive than the auto, but because of the gearing it’s also far noisier on the motorway and won’t be anywhere near as good on fuel. 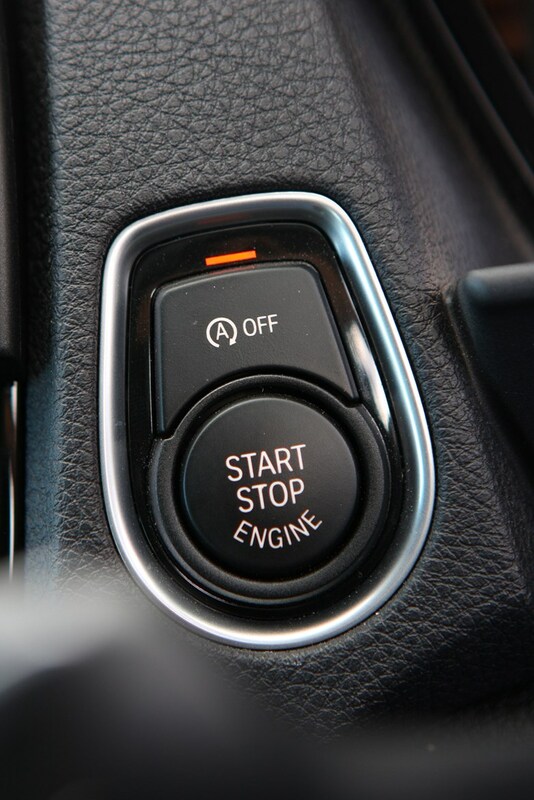 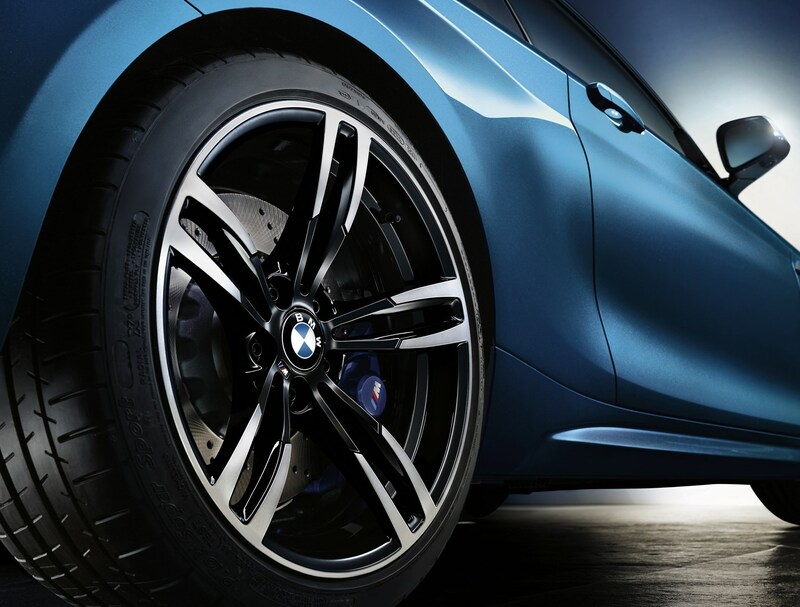 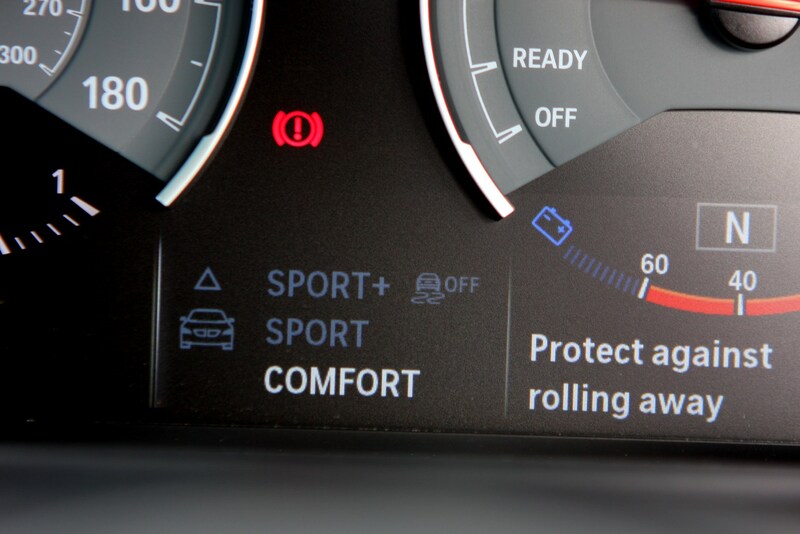 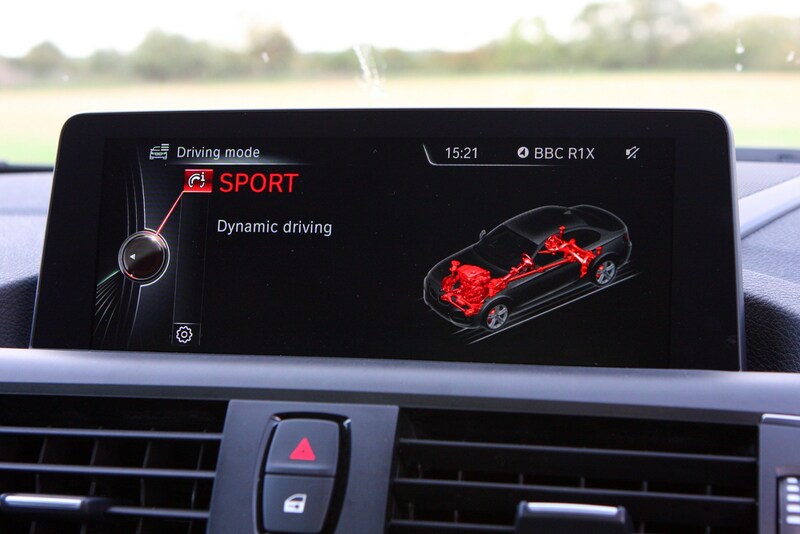 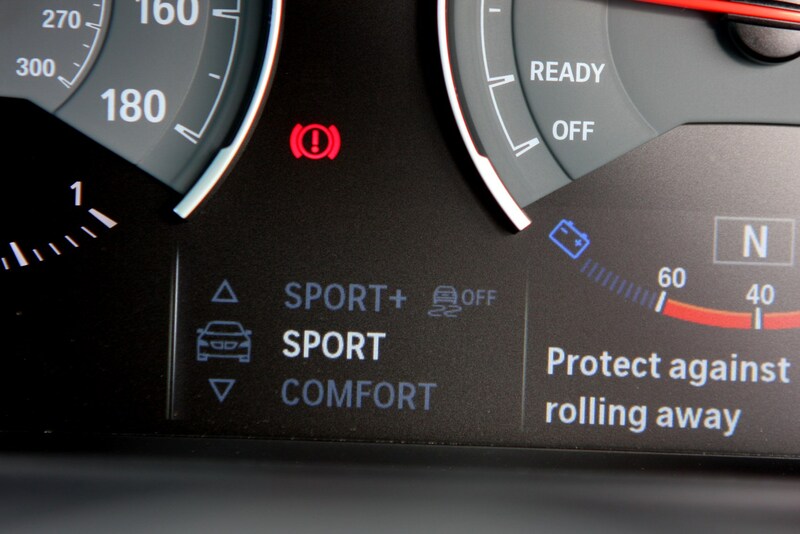 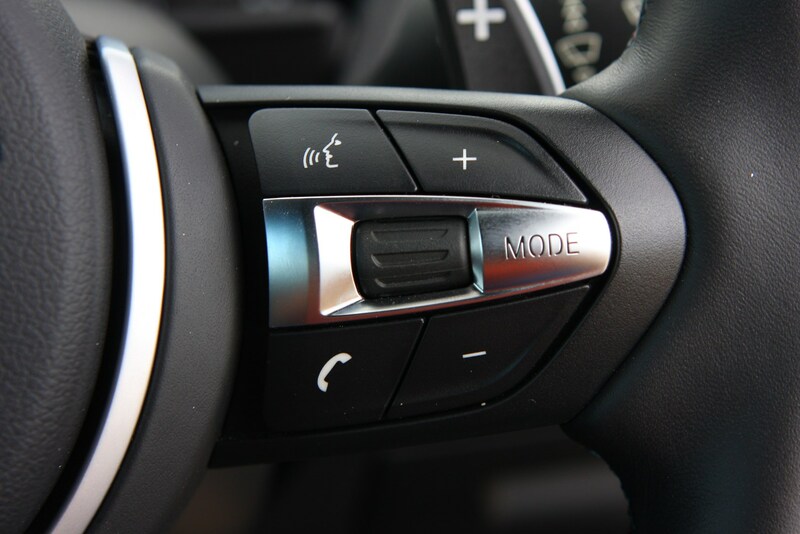 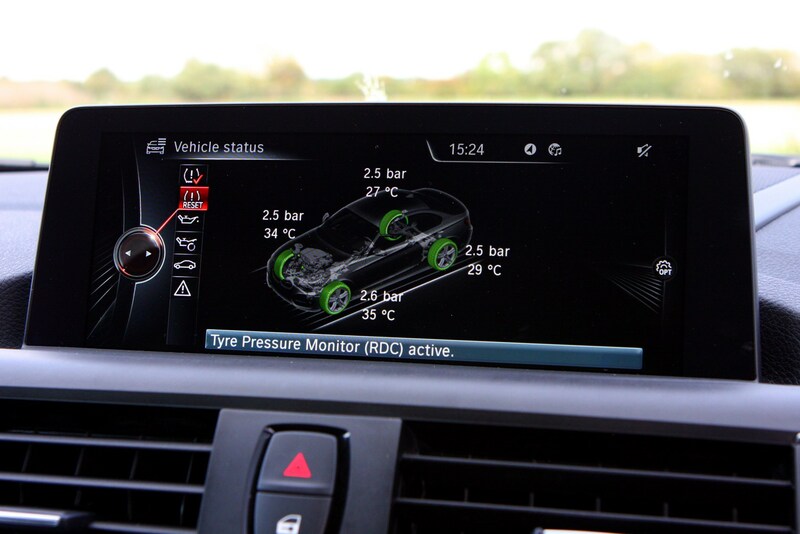 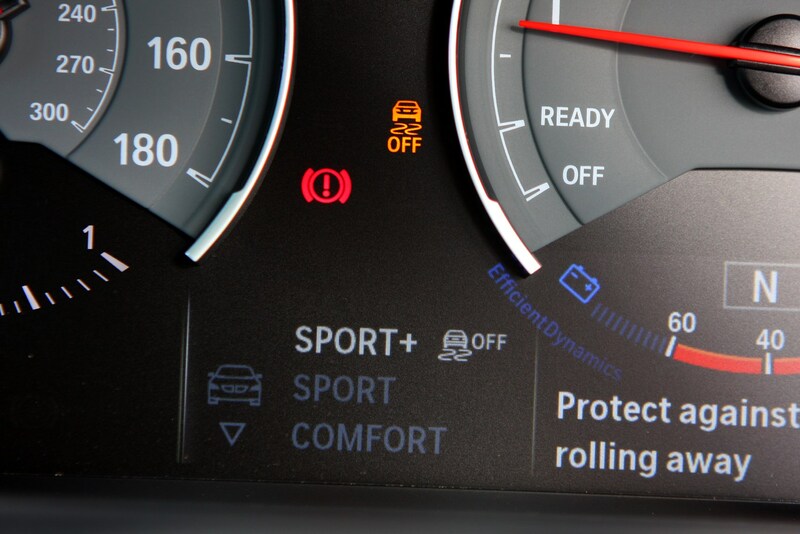 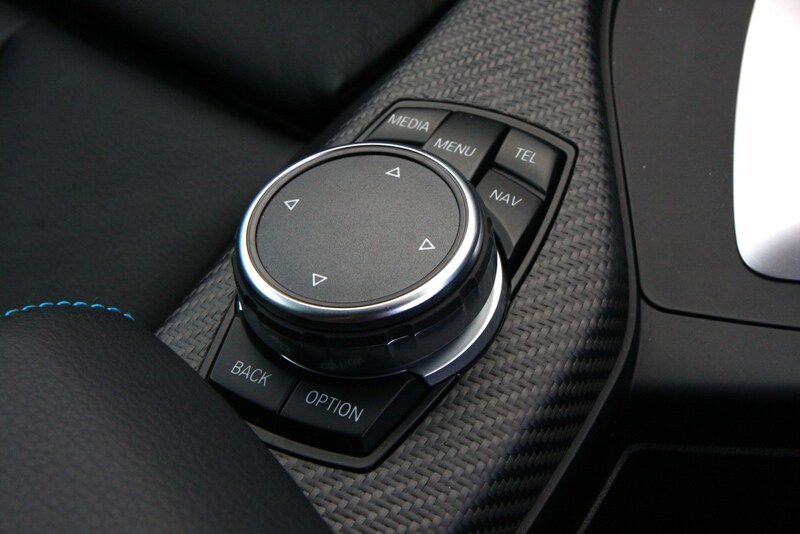 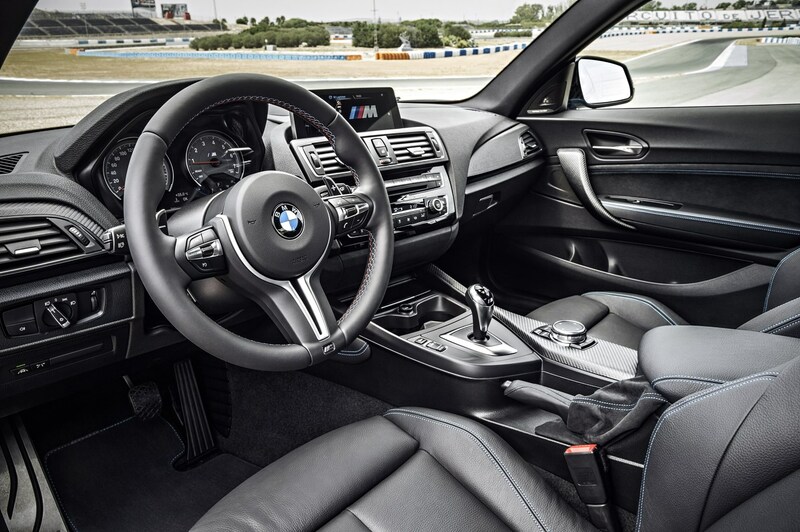 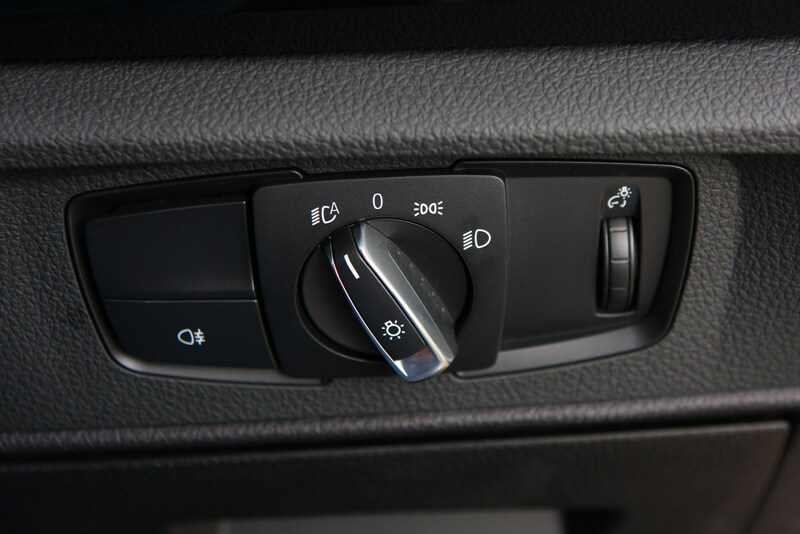 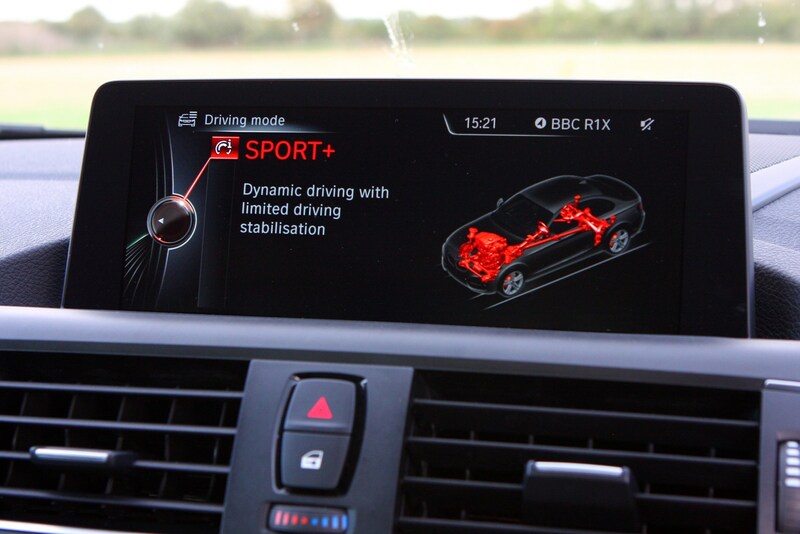 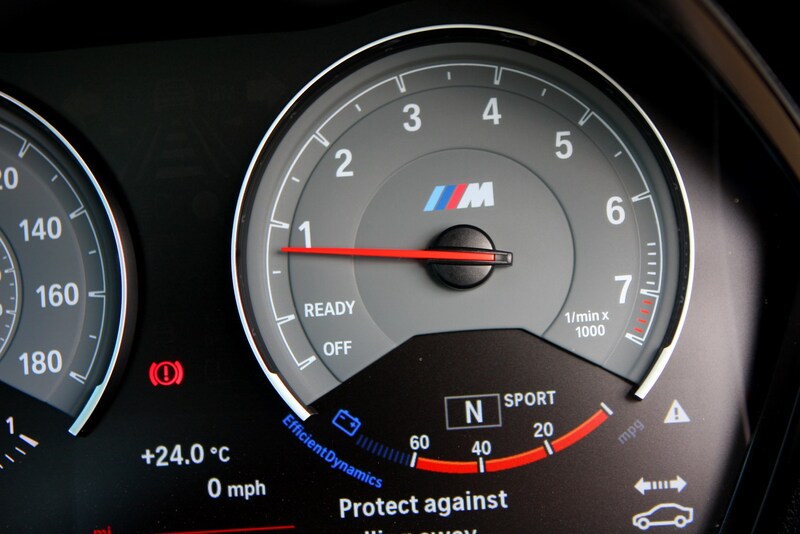 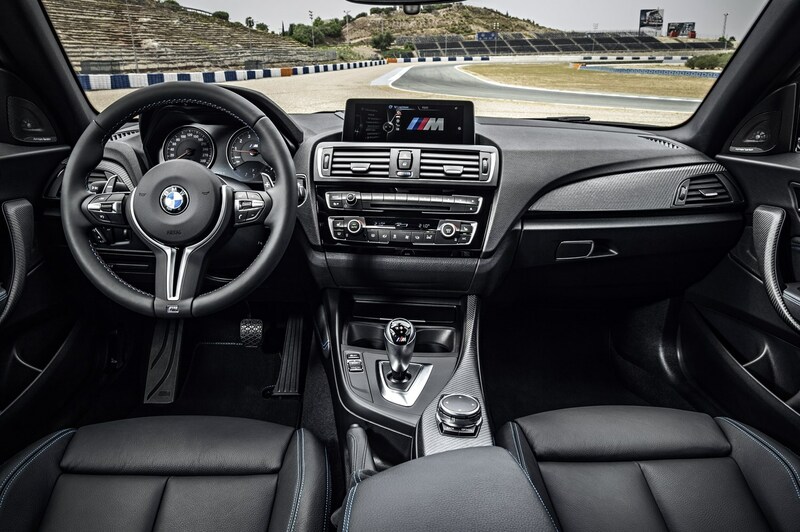 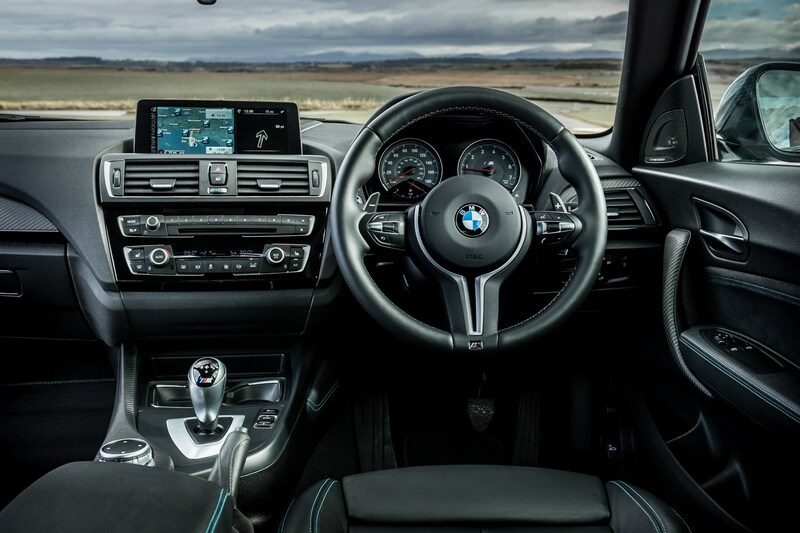 The engine’s output is sent to the rear wheels via an electronically controlled differential for optimum traction when cornering, and BMW’s Drive Performance Control switch allows the driver to flick through Eco Pro, Comfort, Sport and Sport+ driving modes. 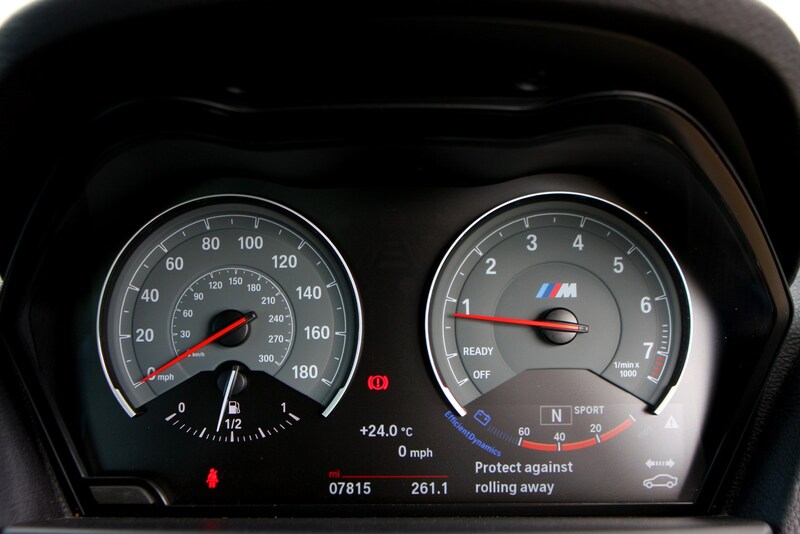 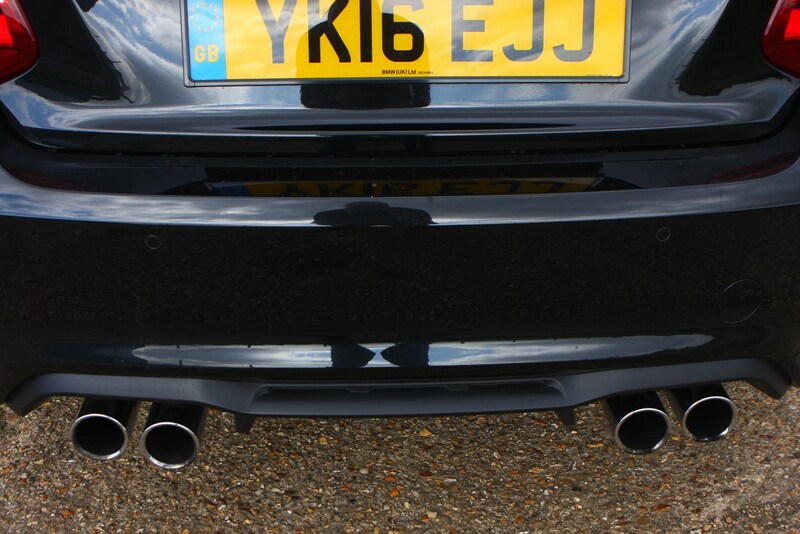 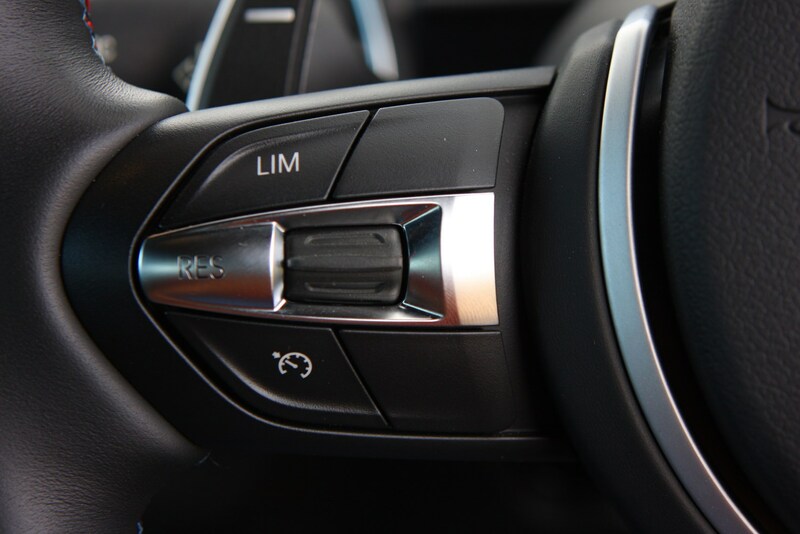 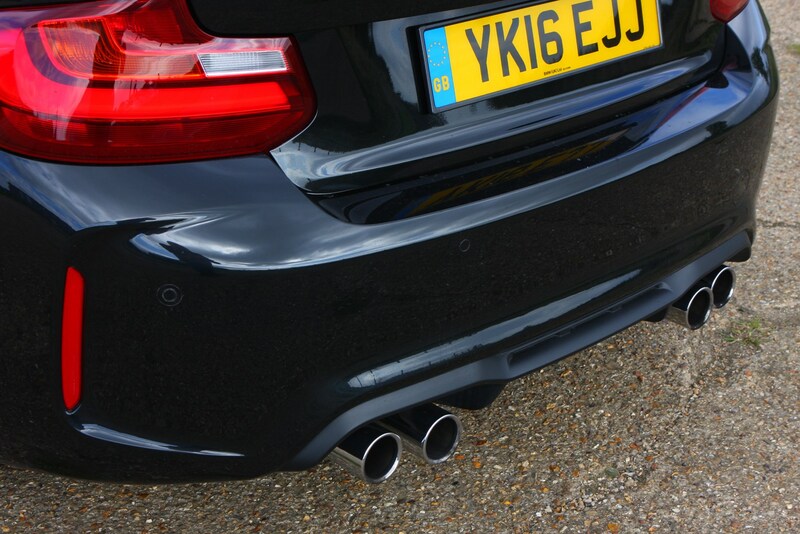 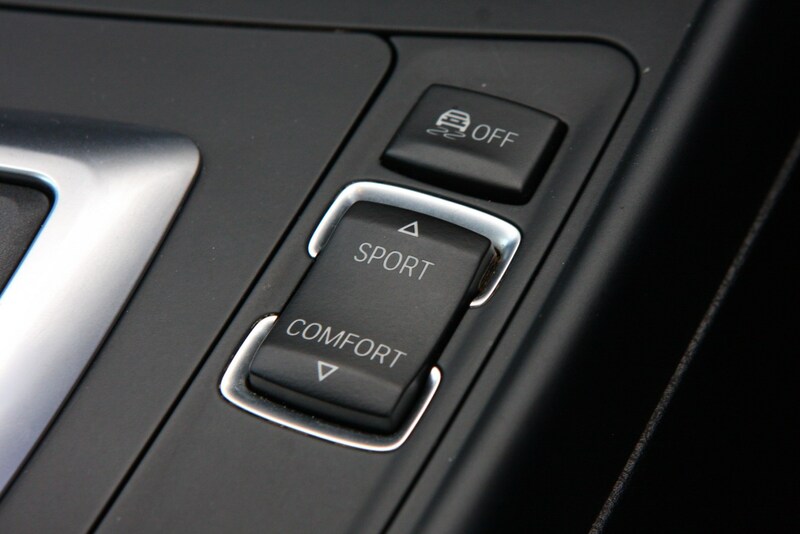 These alter parameters such as the throttle response and steering weighting to suit your chosen type of driving. 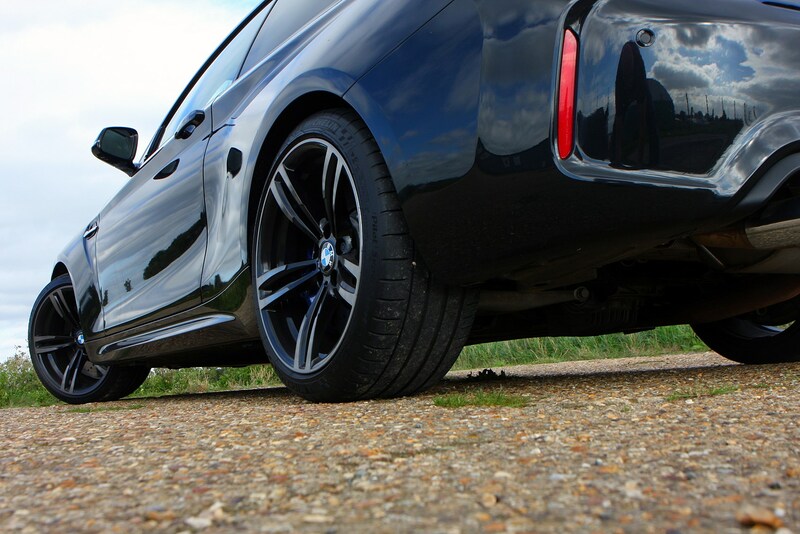 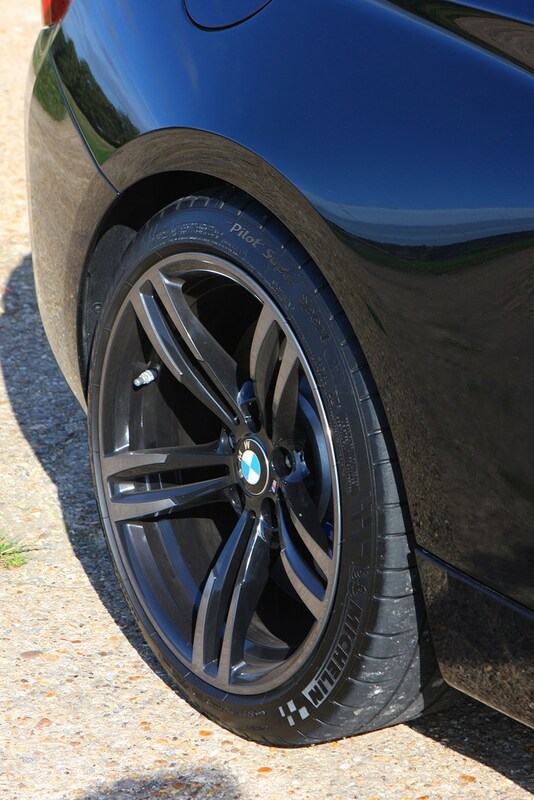 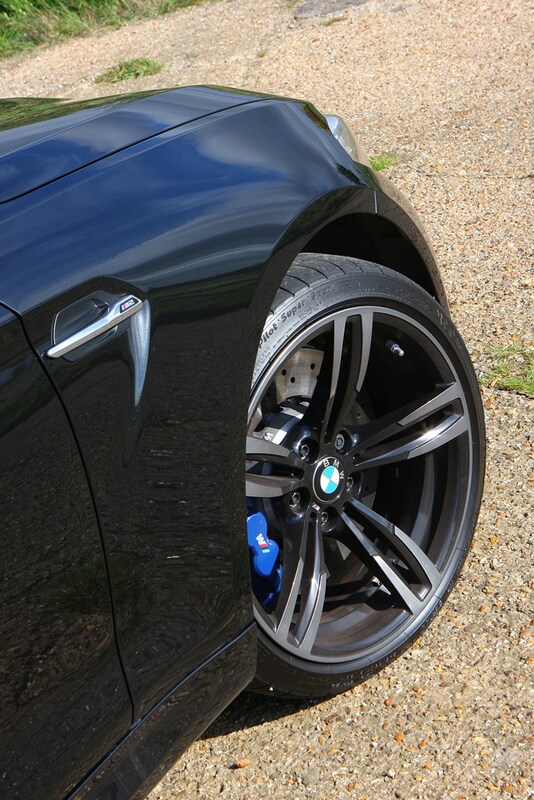 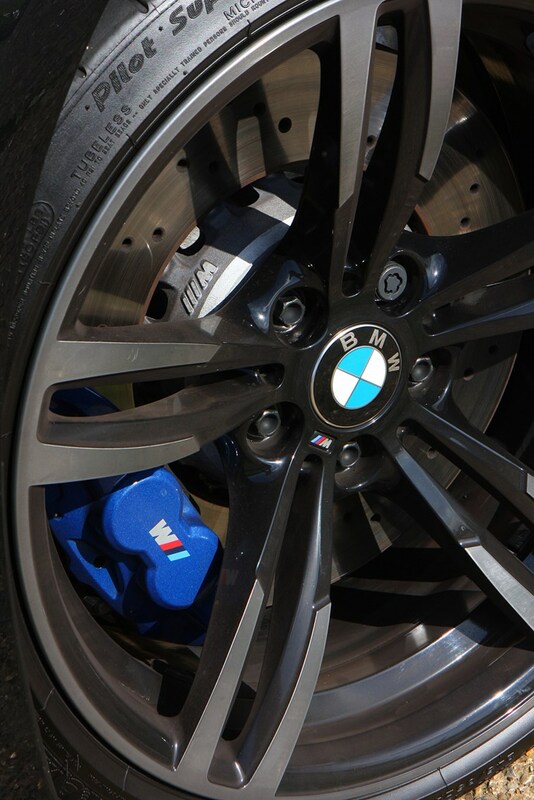 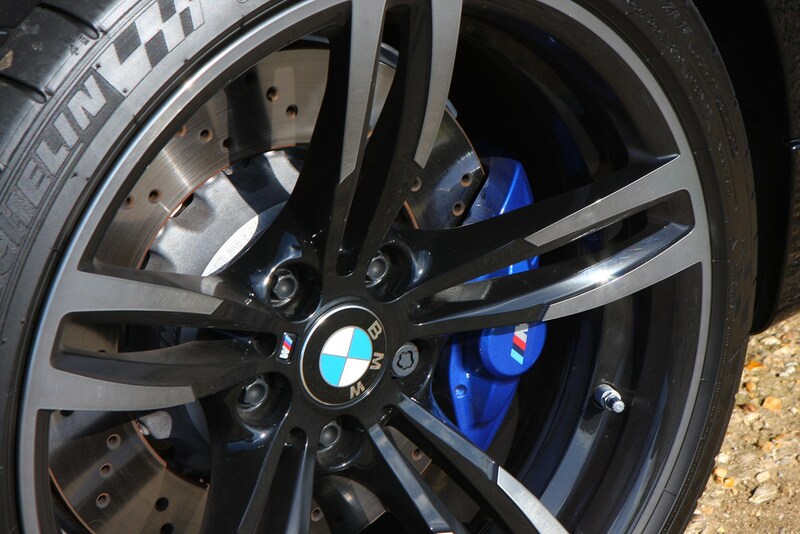 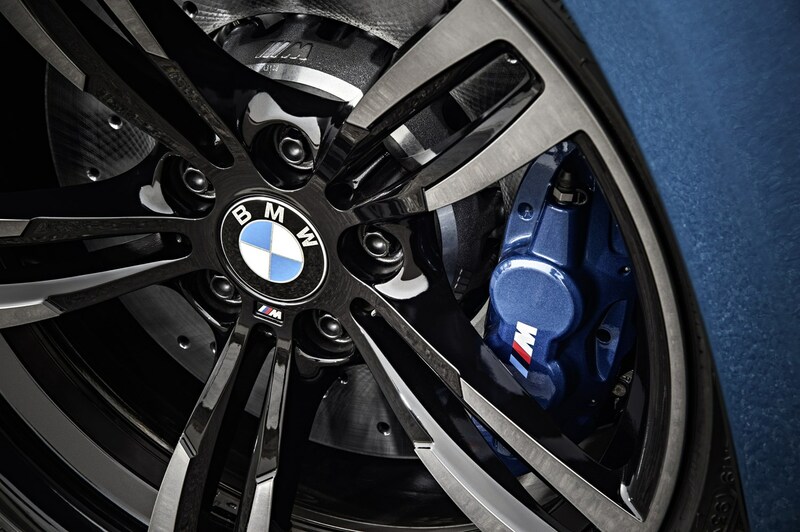 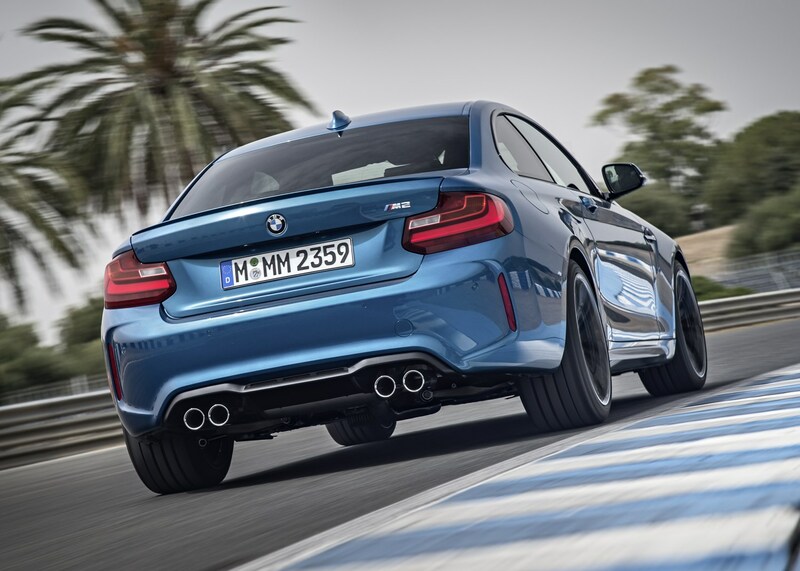 There’s no adaptive suspension as on most performance cars nowadays, BMW’s engineers instead settling on a blend of ride and handling that’s on the firm side, but incredibly rewarding to drive. 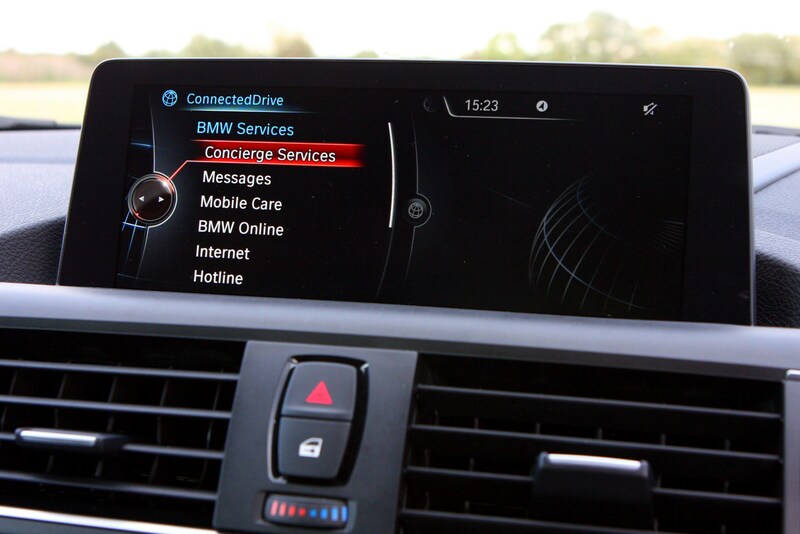 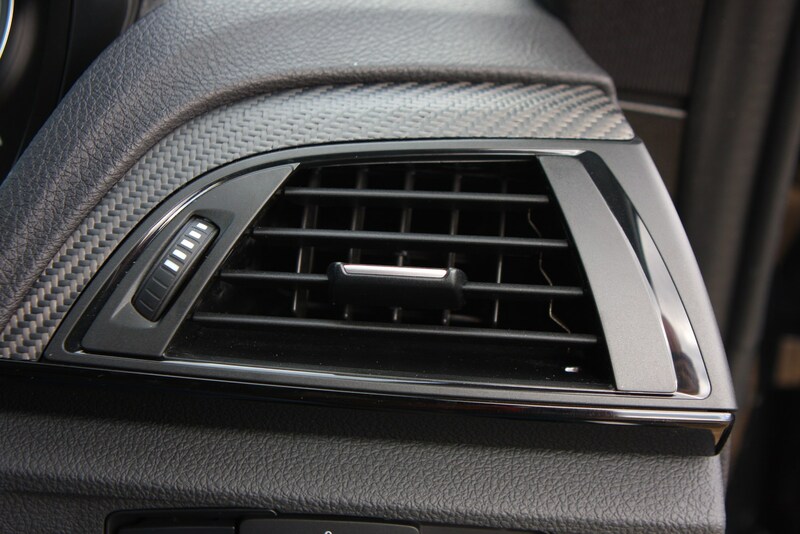 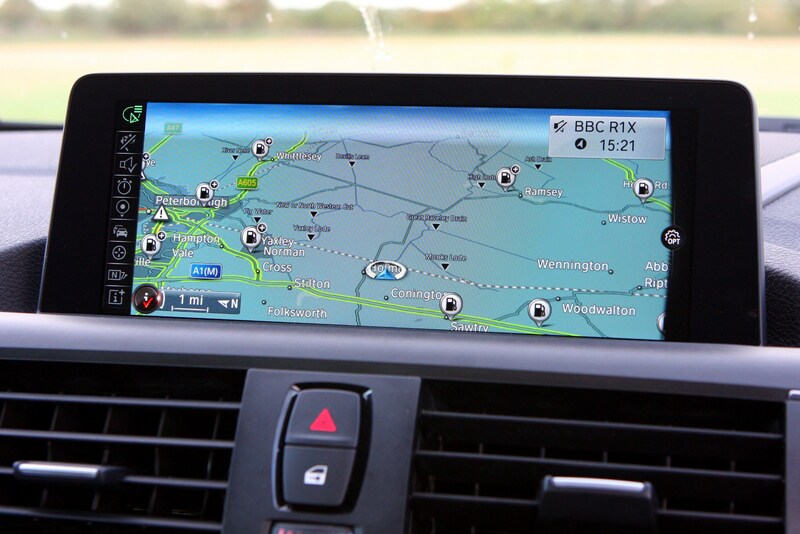 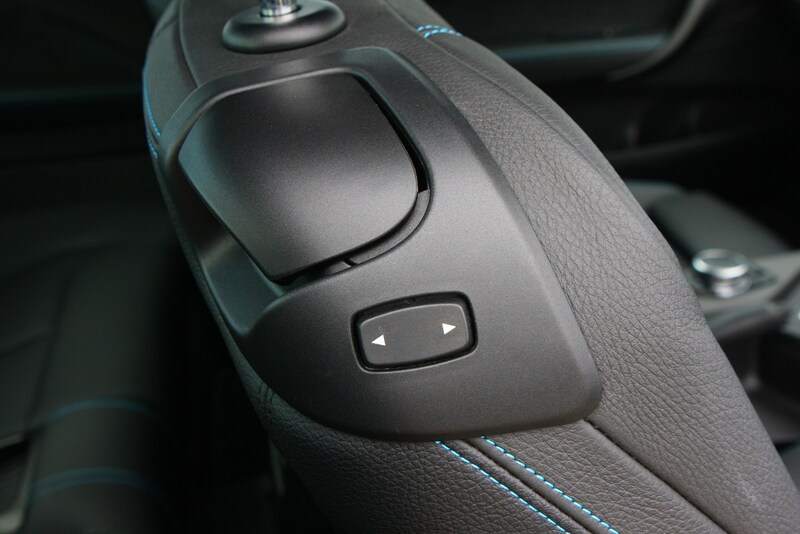 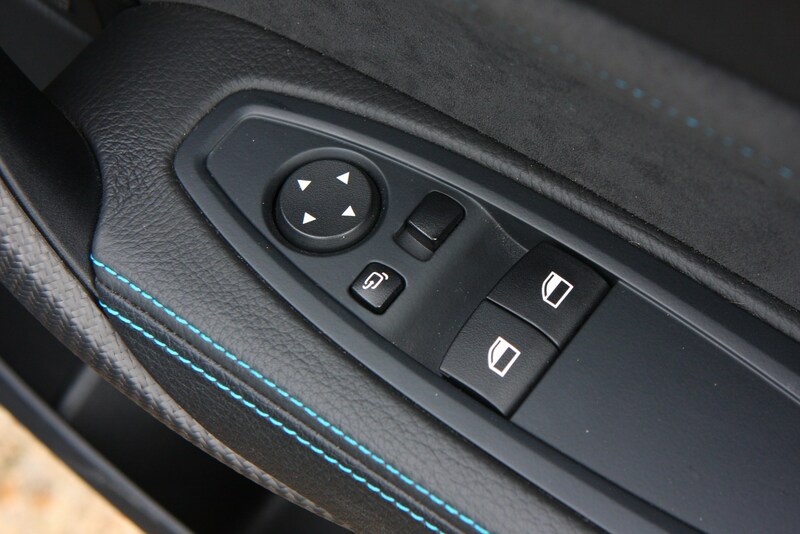 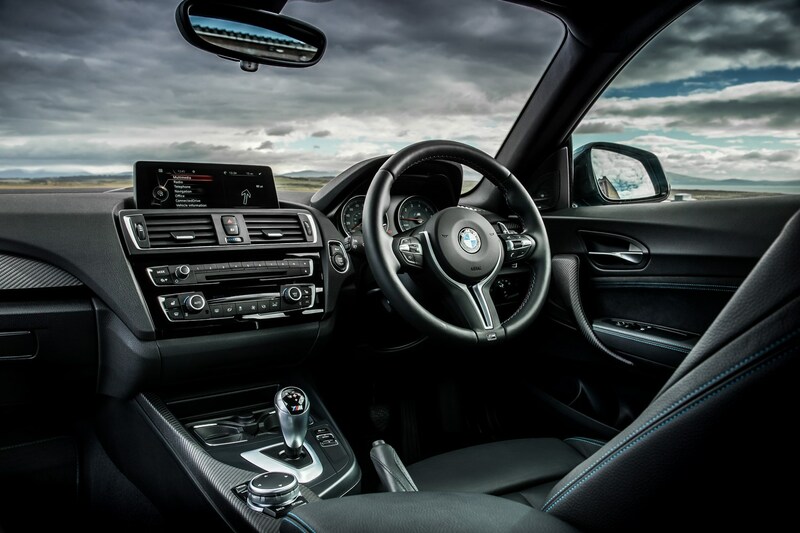 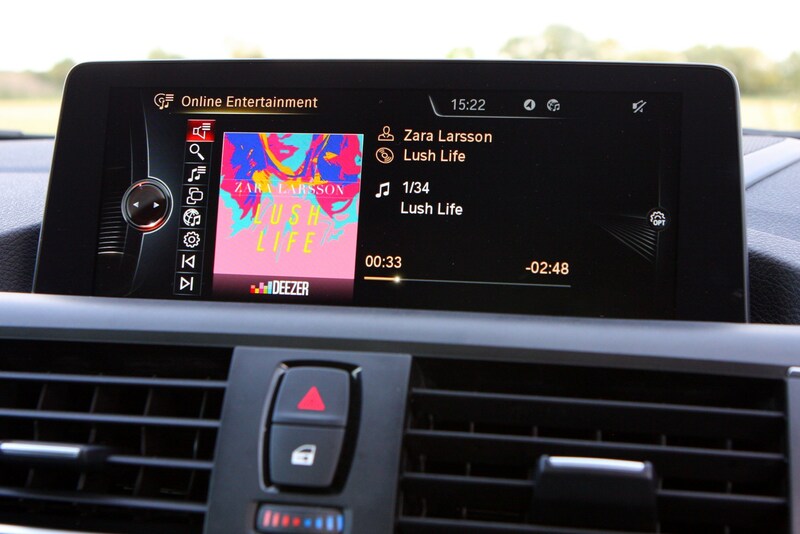 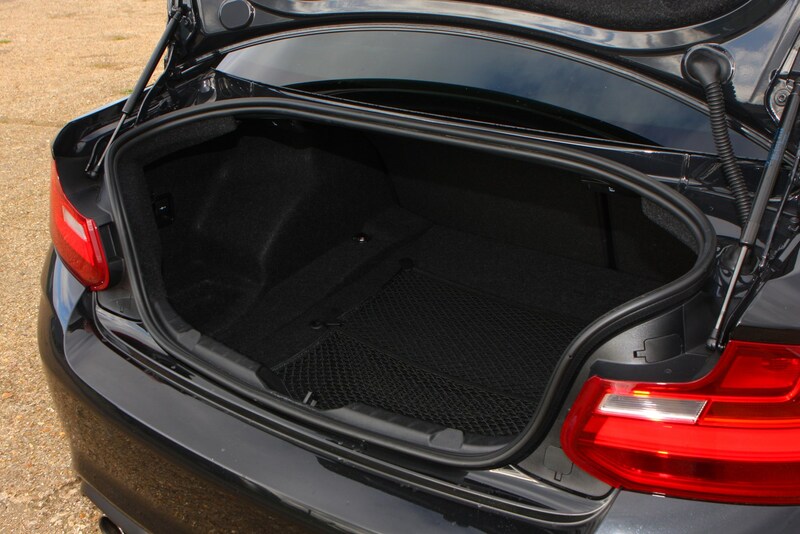 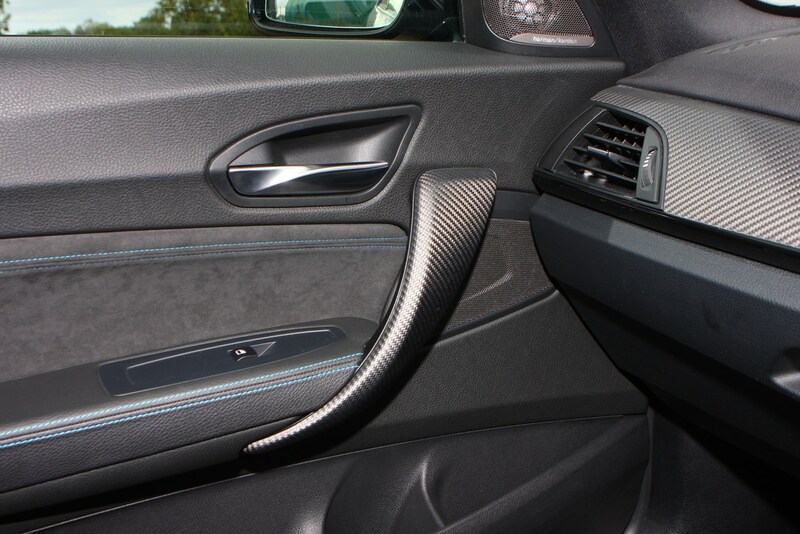 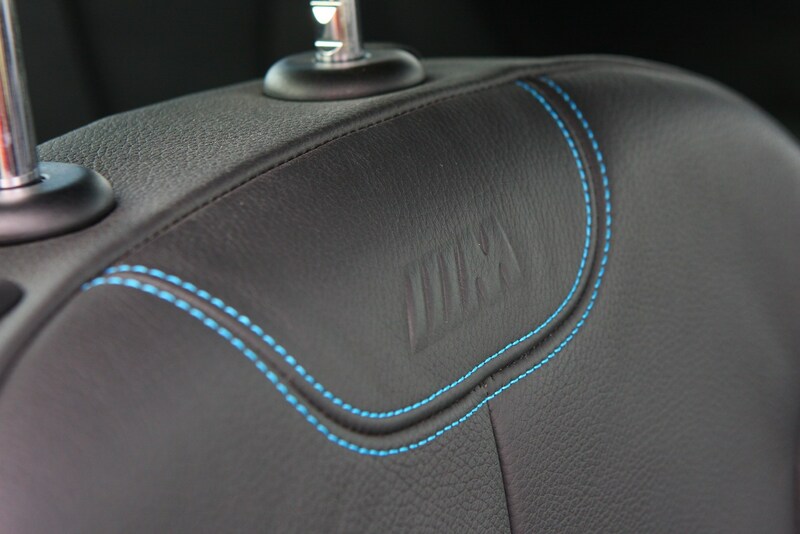 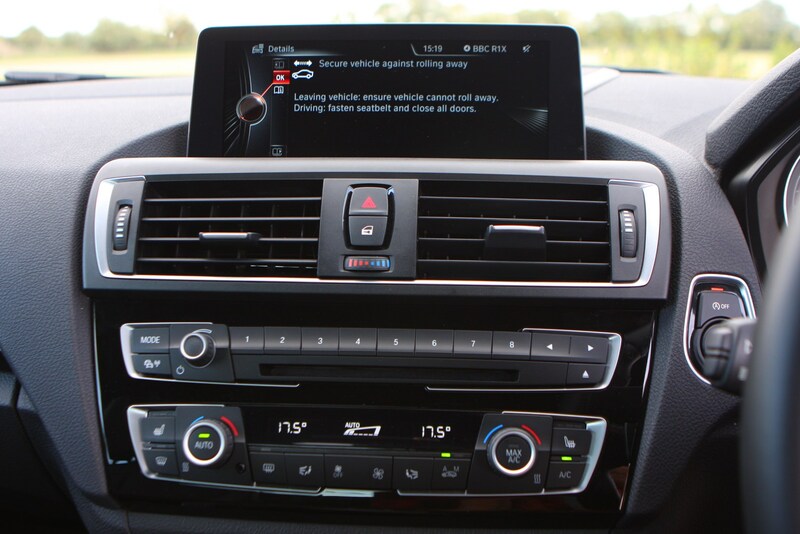 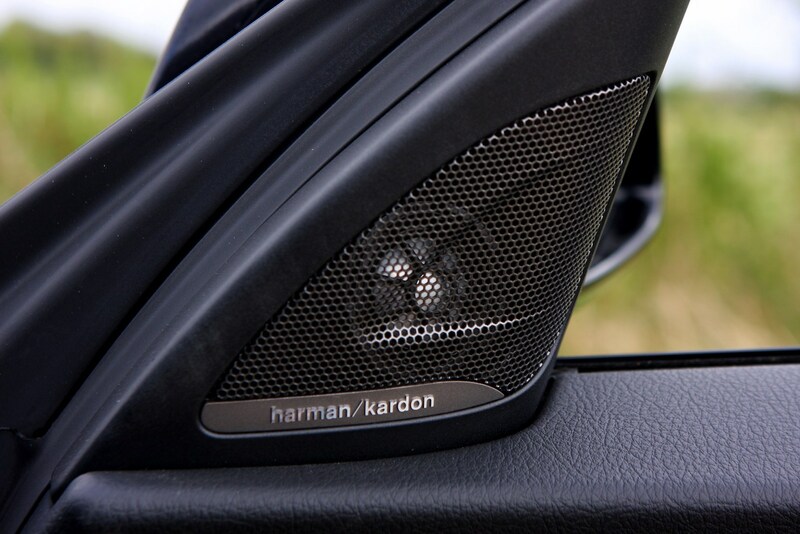 BMW’s Professional Media system takes pride of place in the smart cabin, which is finished in a black colour scheme with carbon fibre accents and blue stitching. 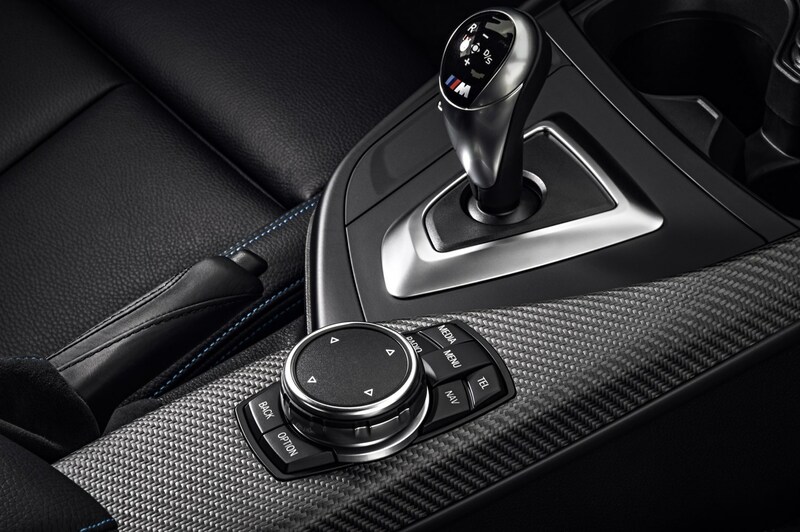 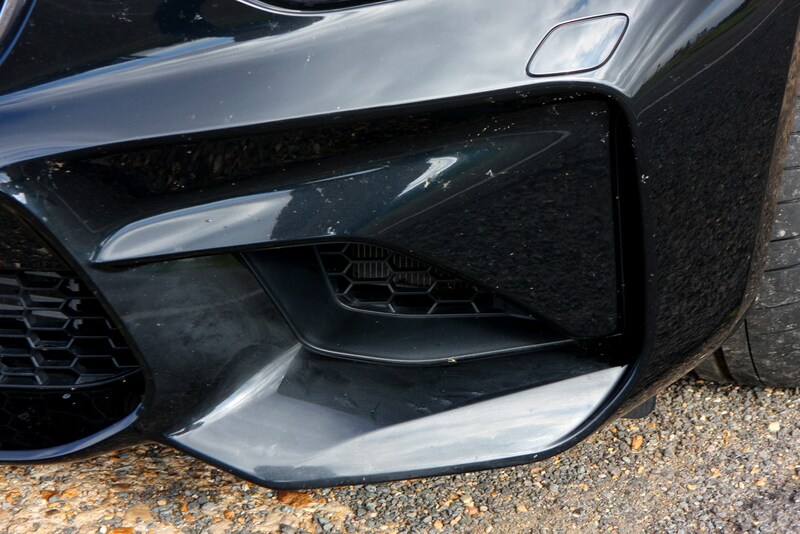 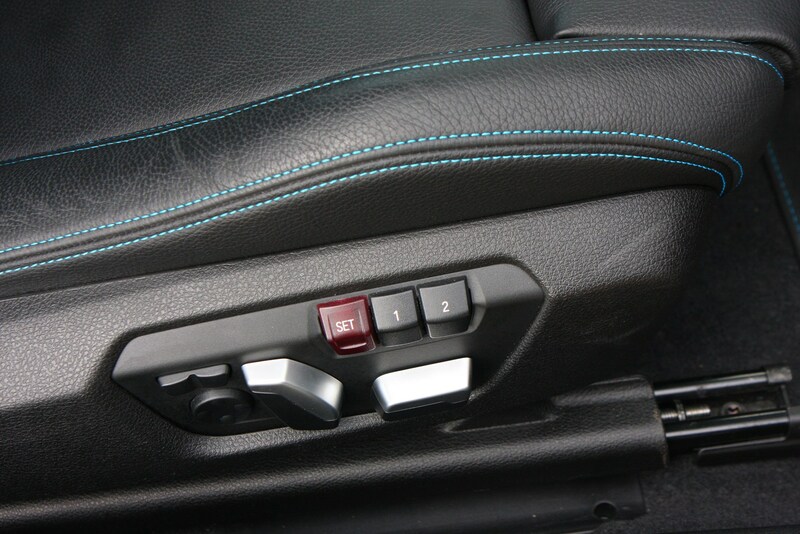 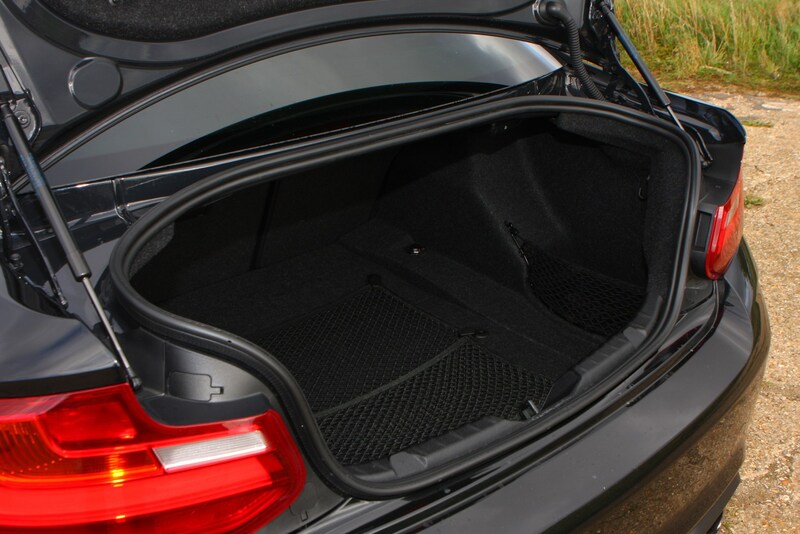 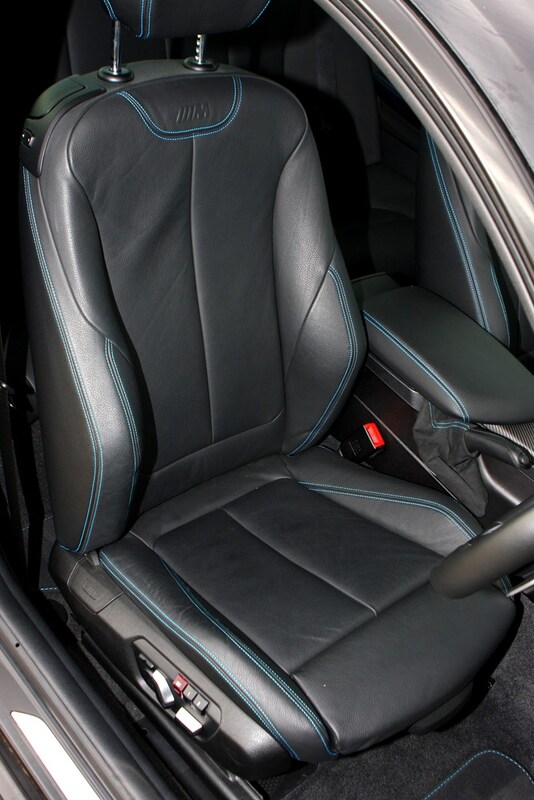 The seats are all leather, while the front ones are sporty items befitting this 155mph missile’s performance. 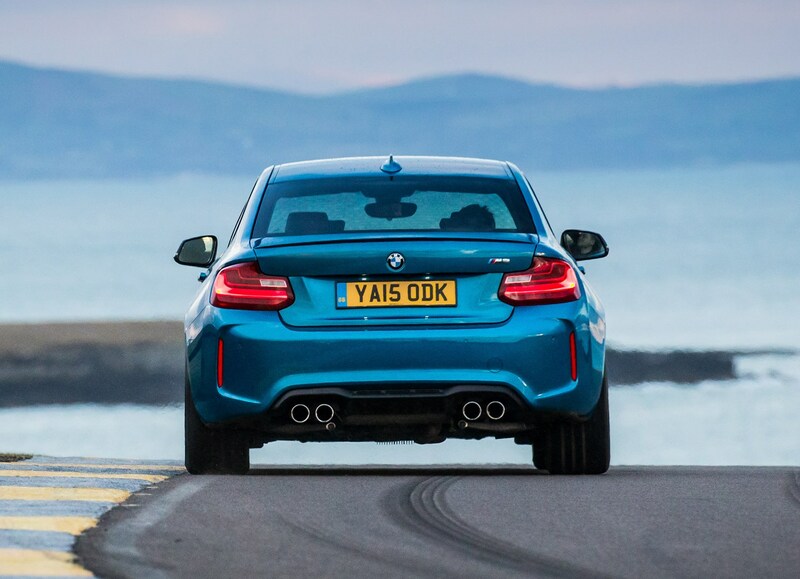 The UK’s allocation of 1,900 cars is almost all sold out at time of publication, and it’s likely used values will be incredibly high for a car this capable. 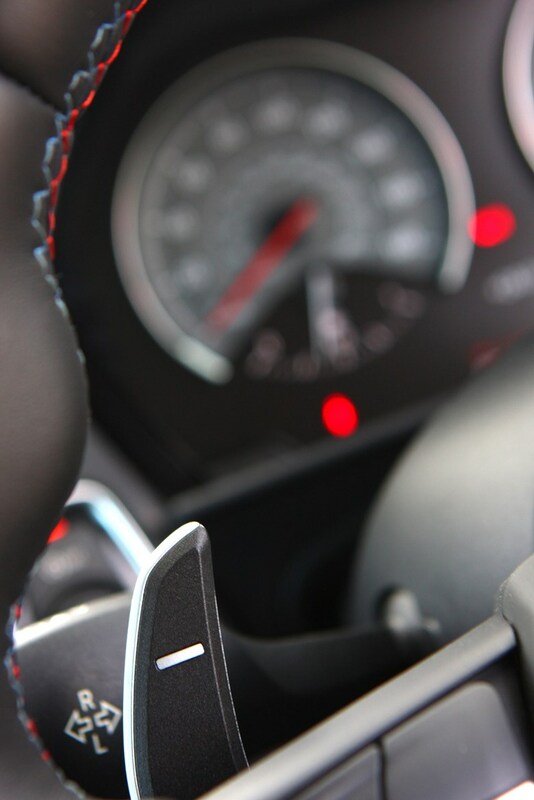 But if you love driving, you’ll adore it. 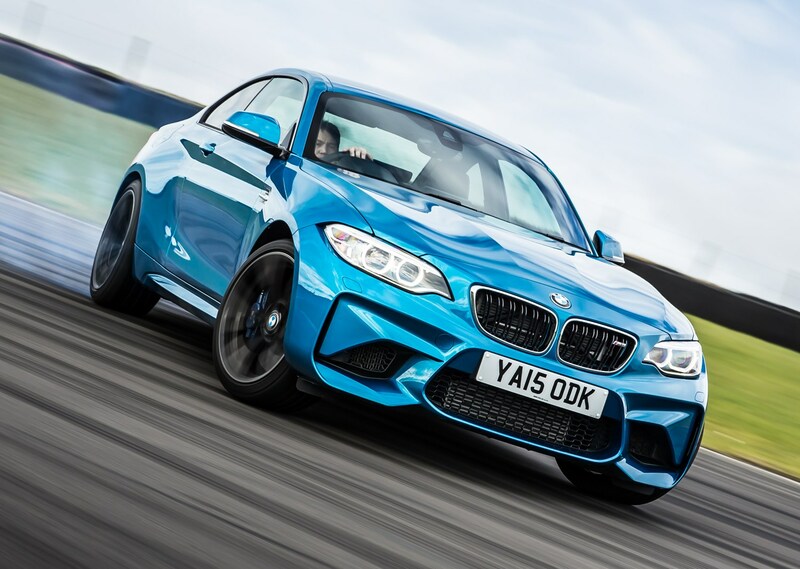 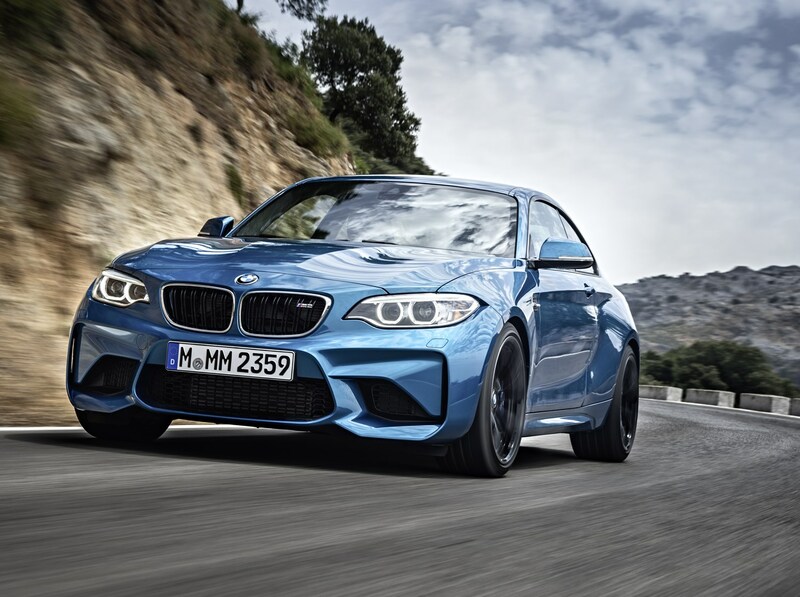 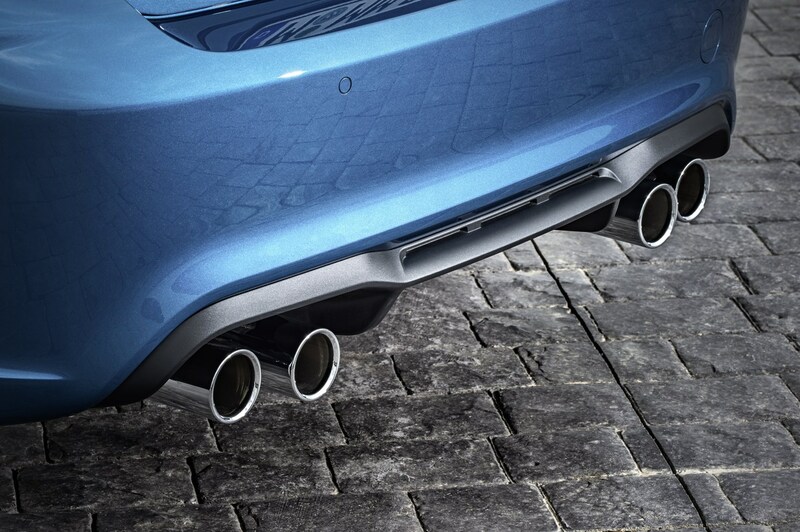 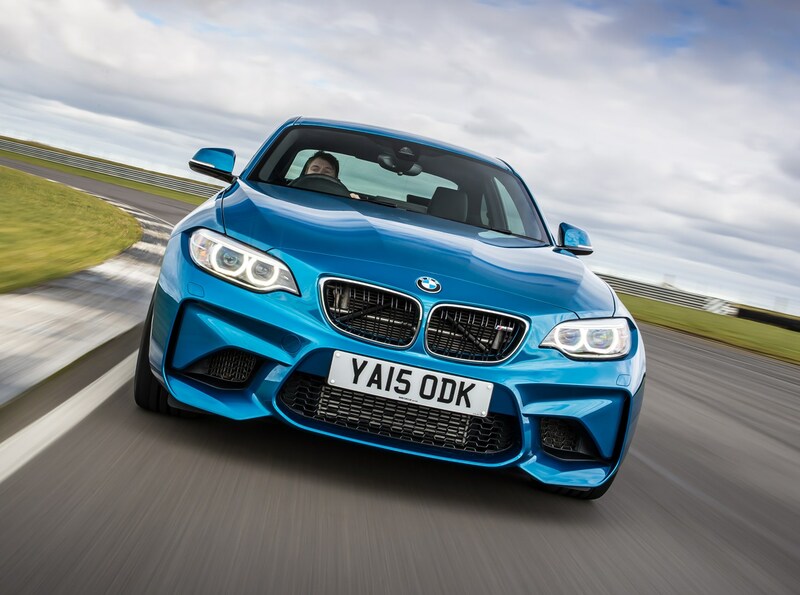 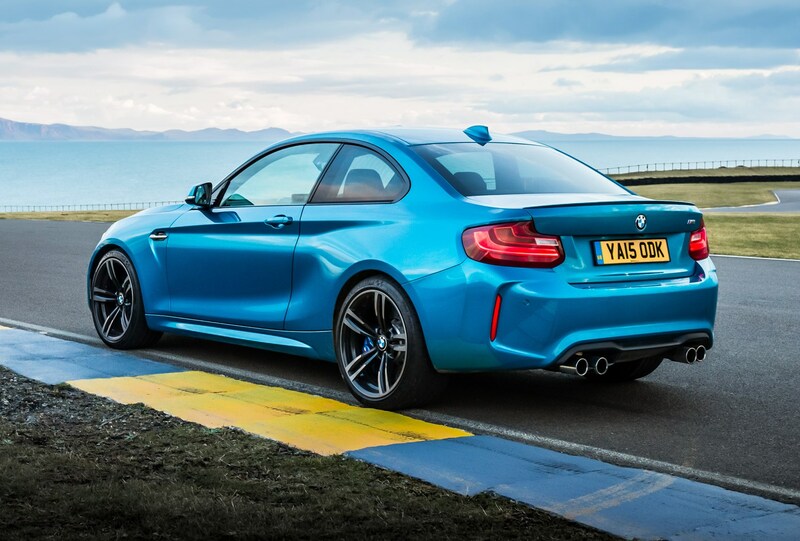 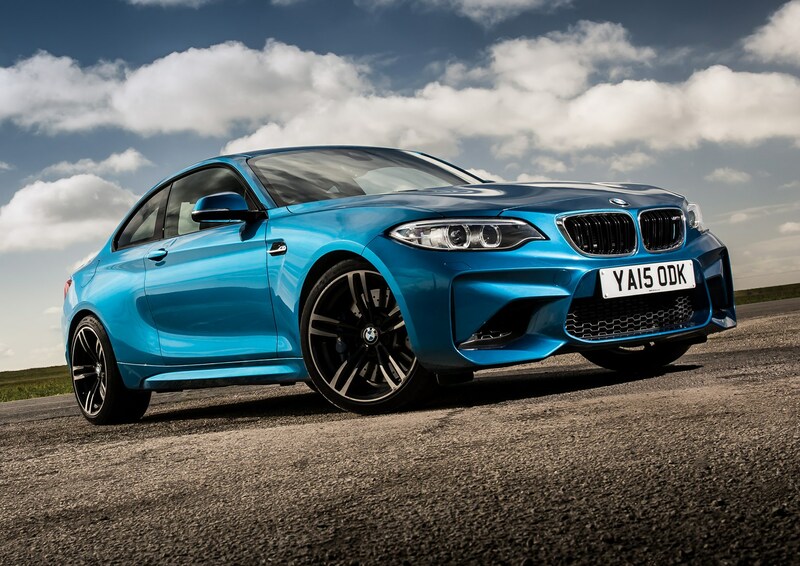 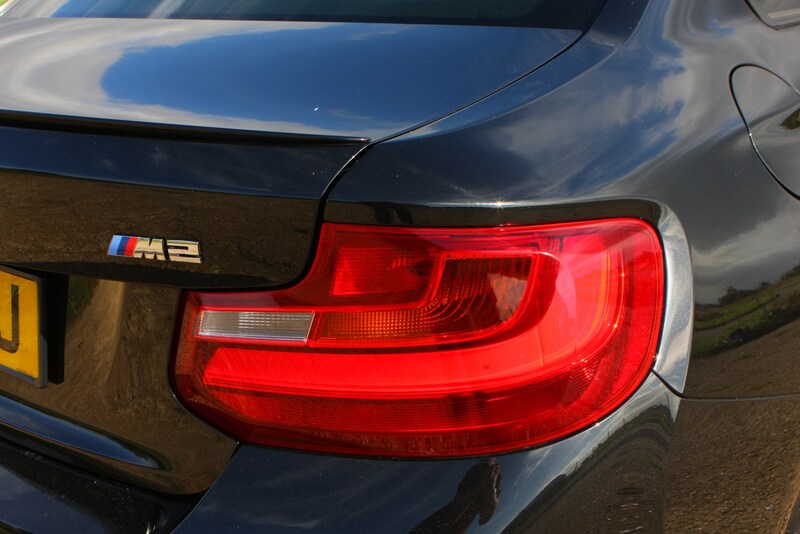 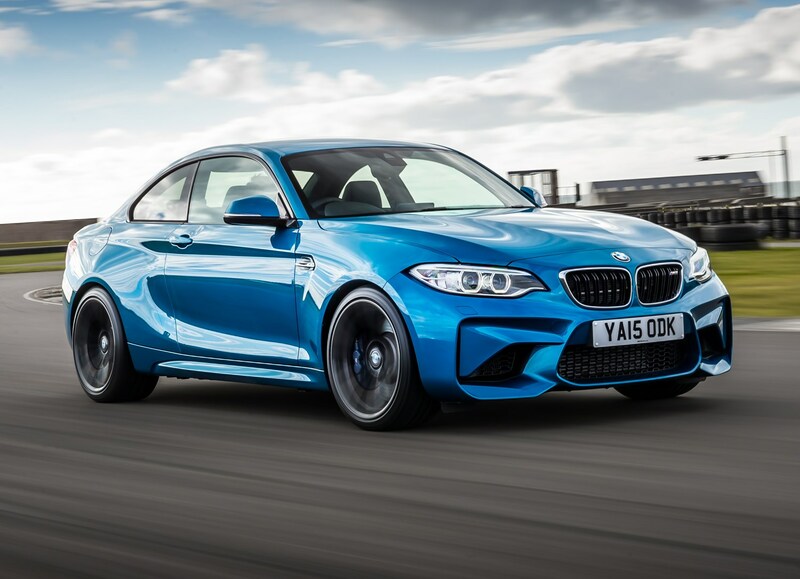 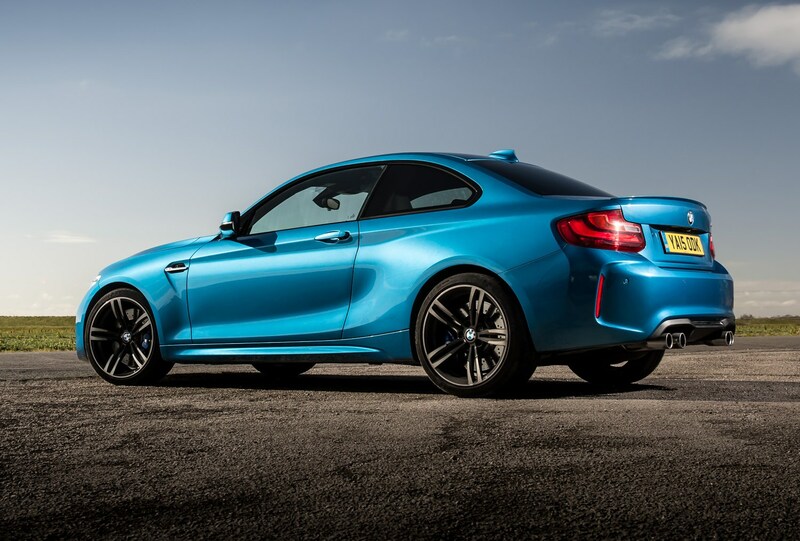 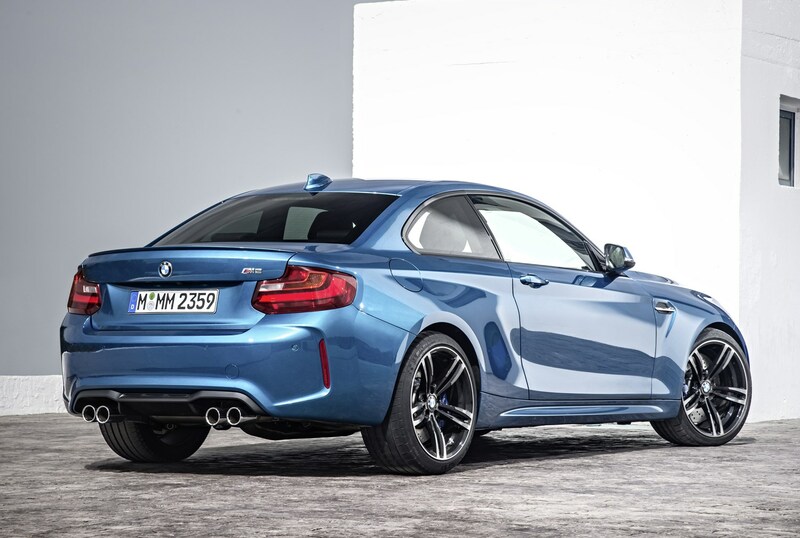 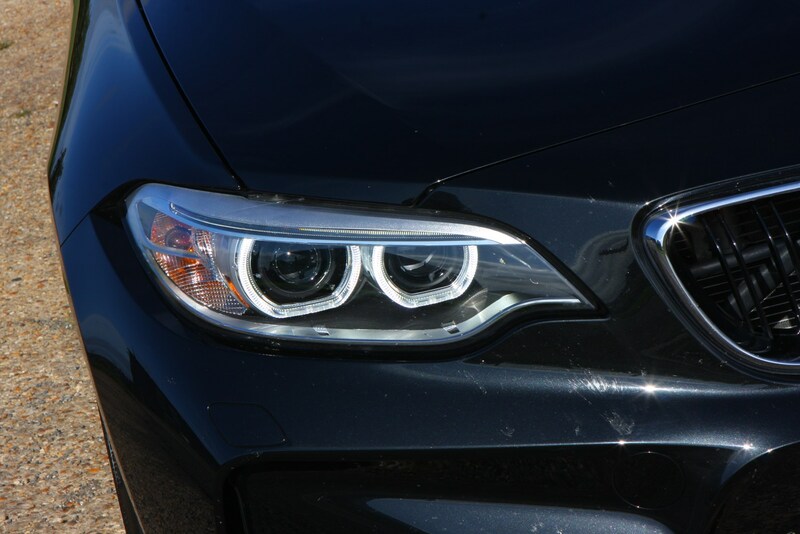 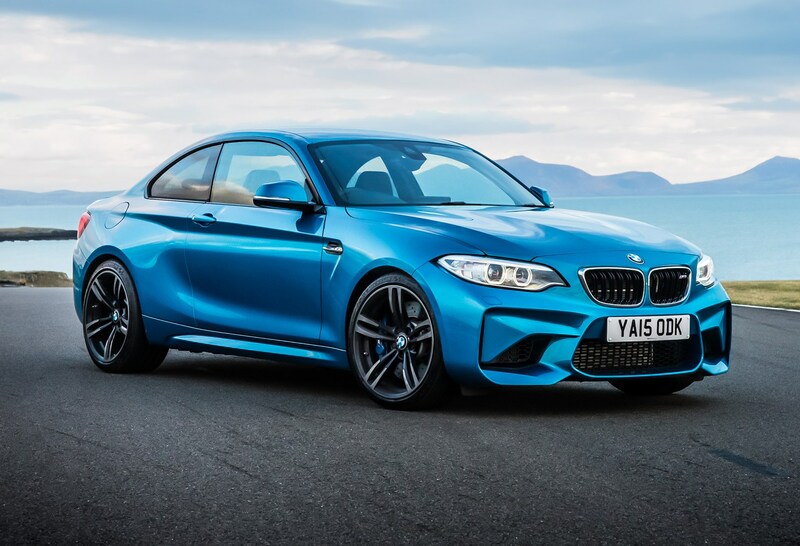 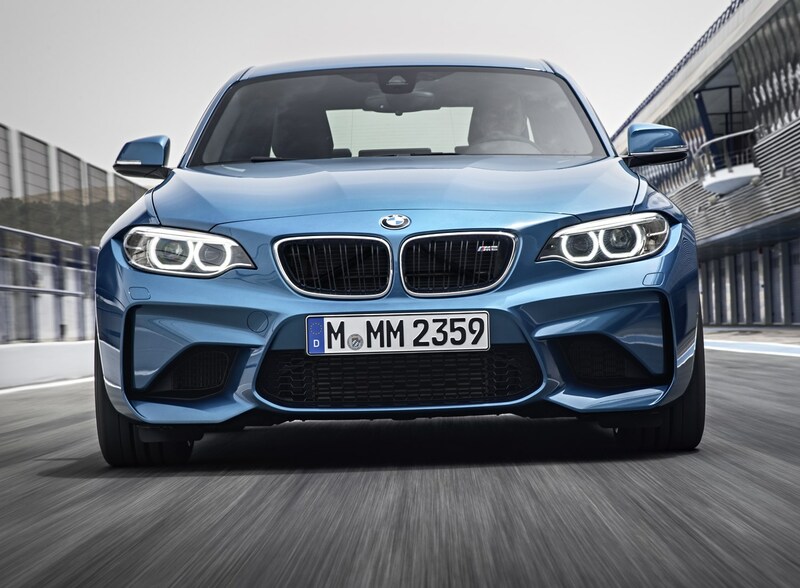 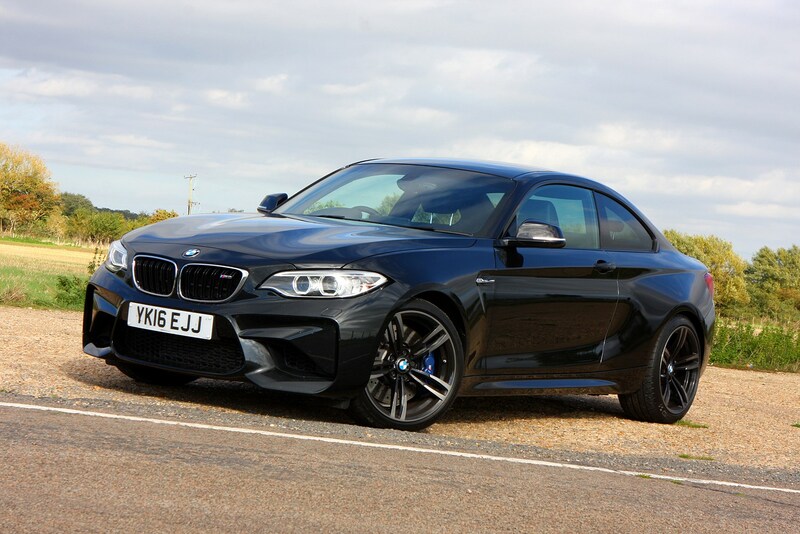 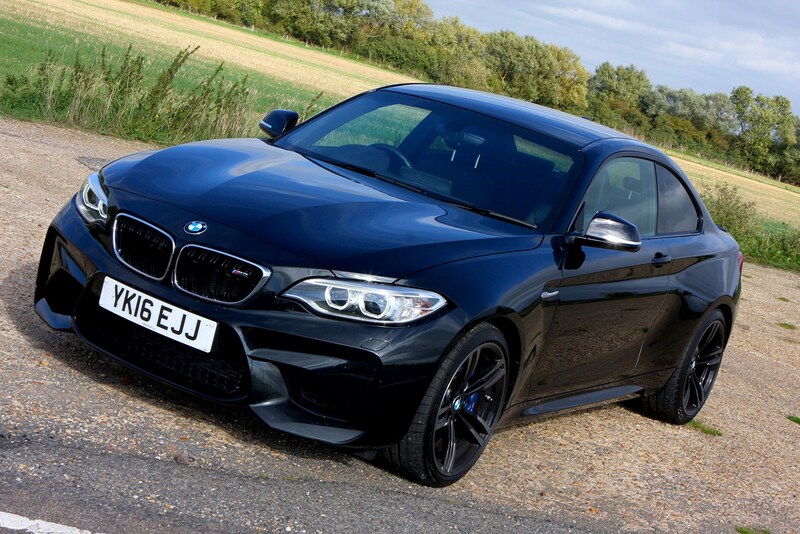 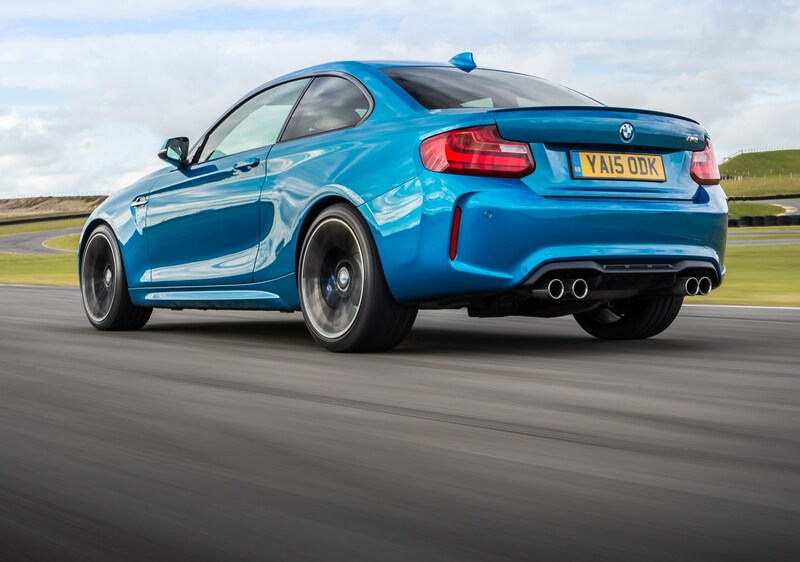 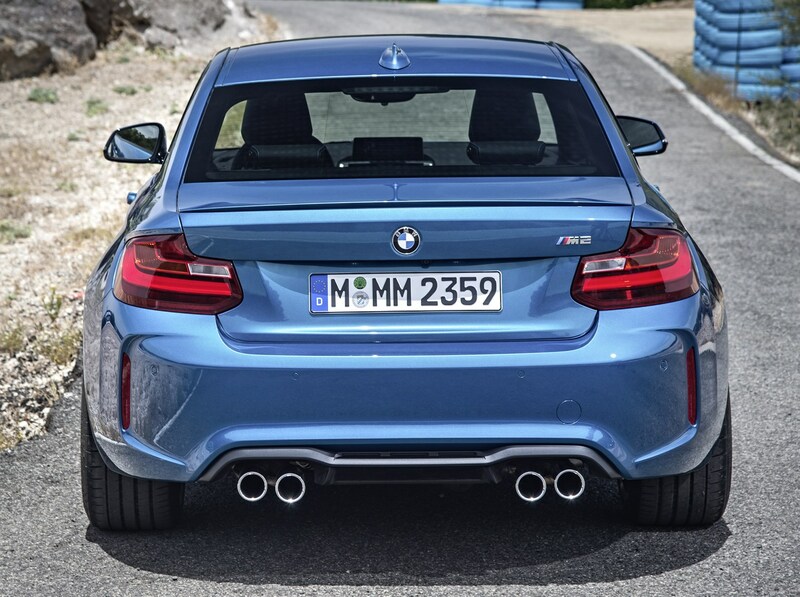 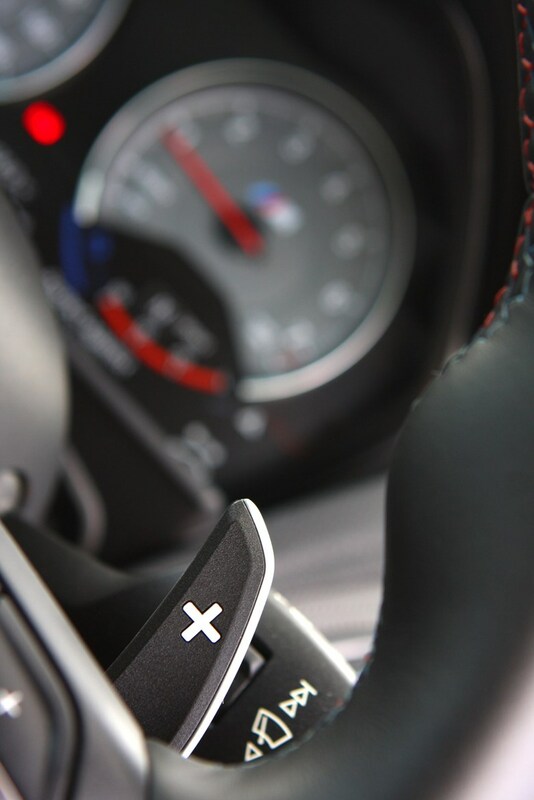 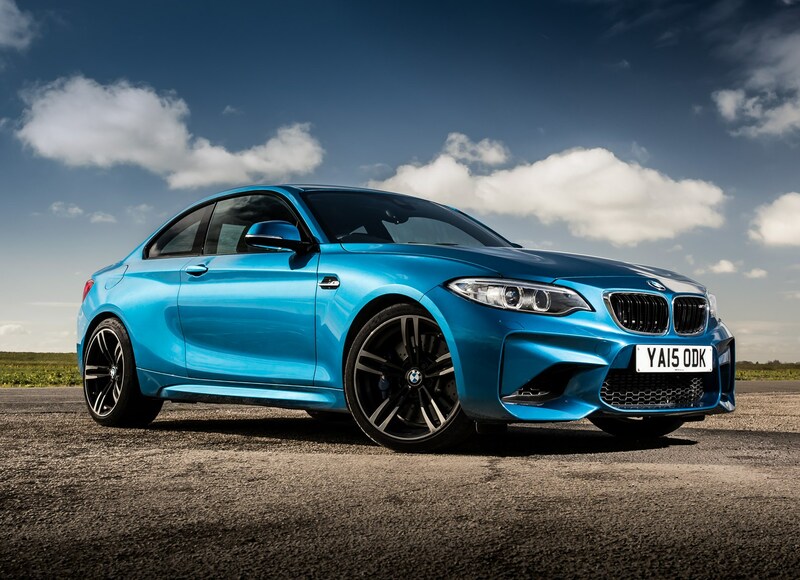 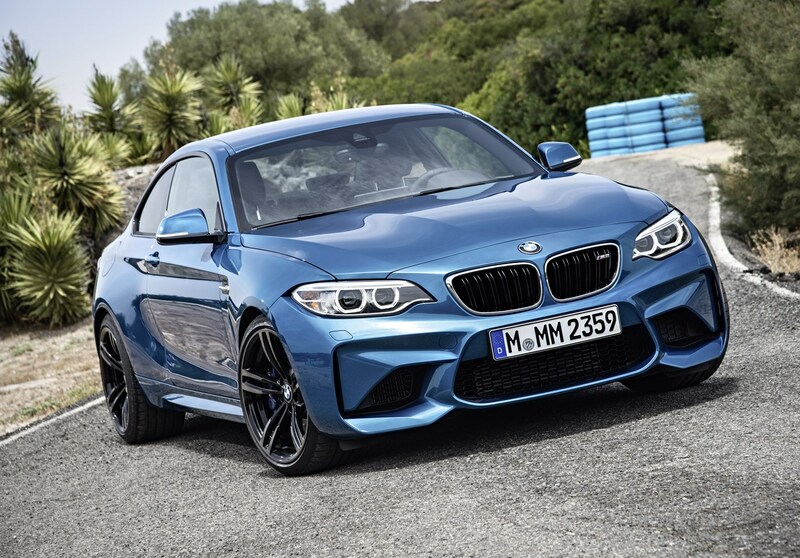 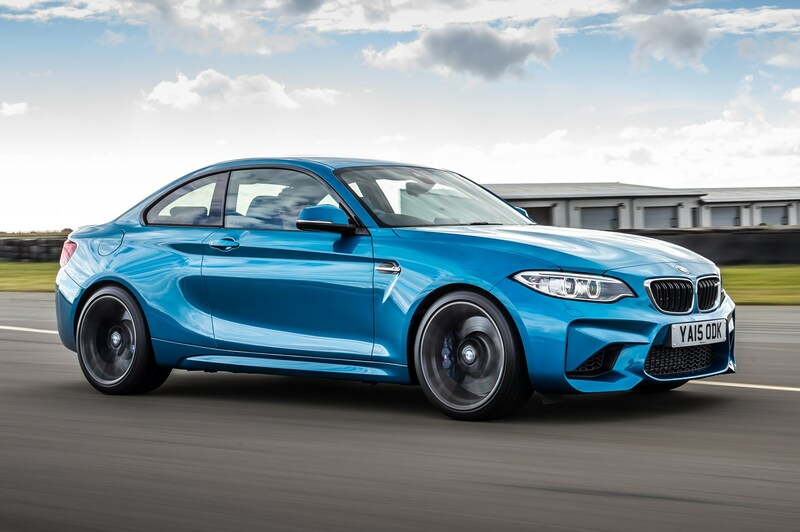 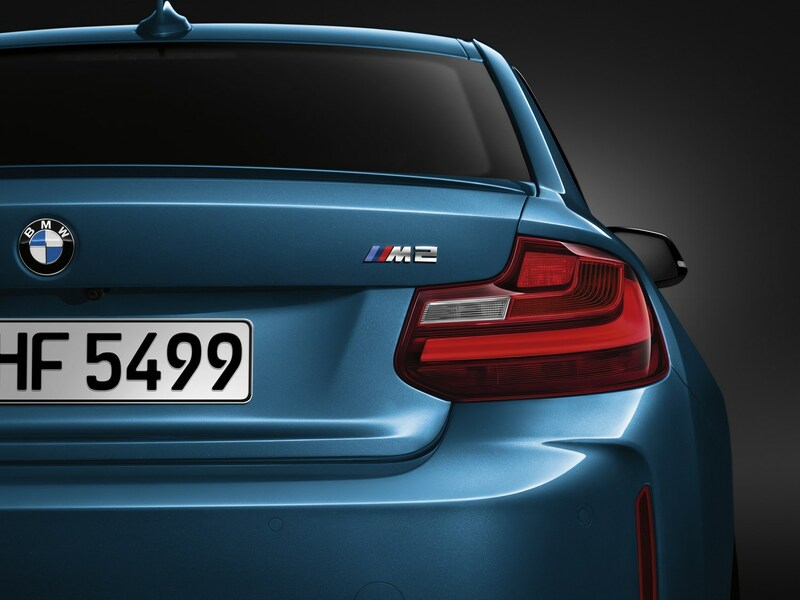 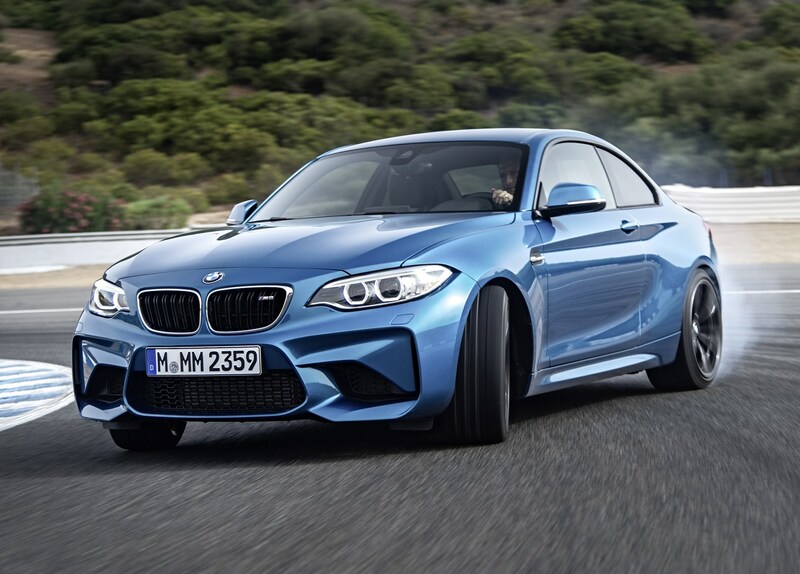 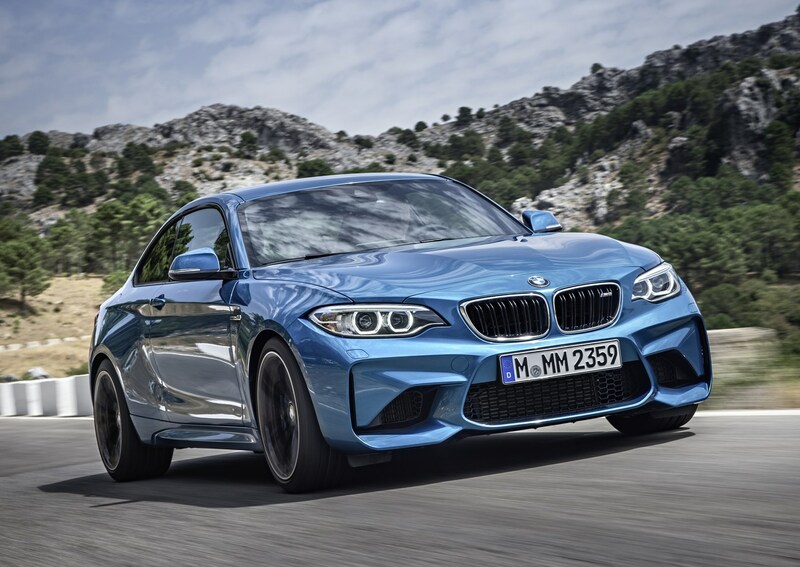 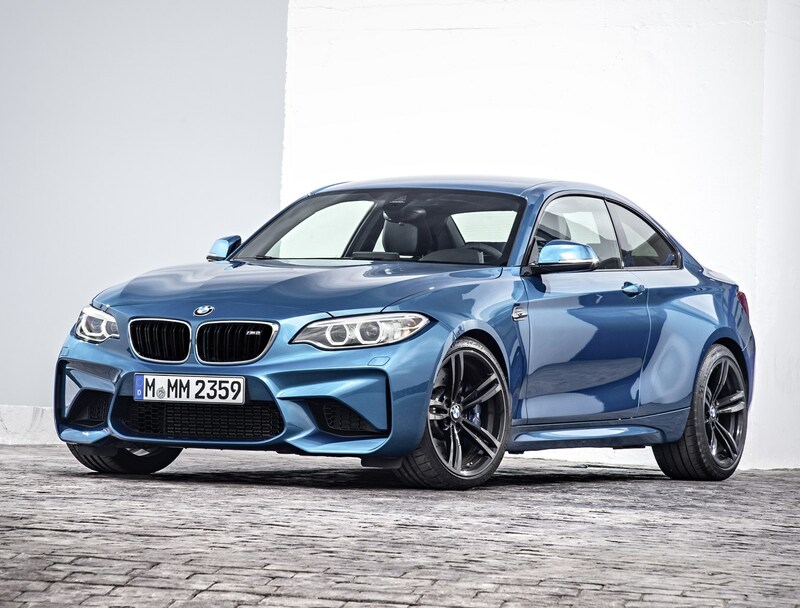 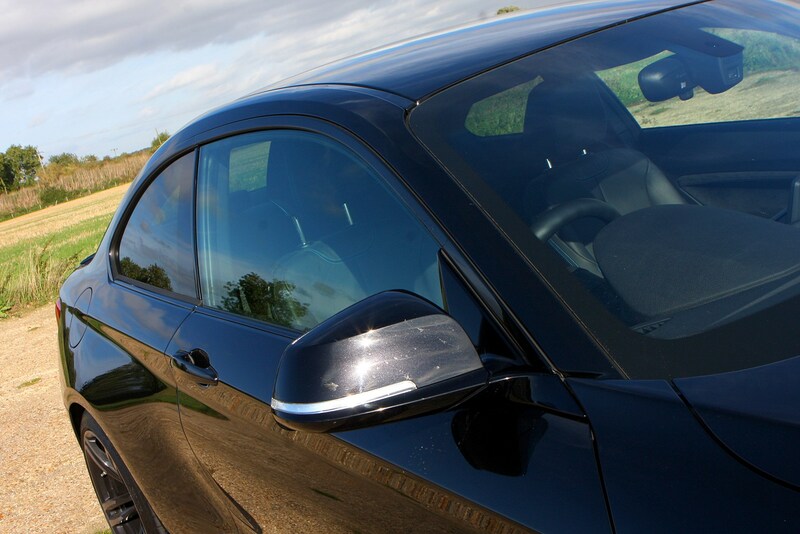 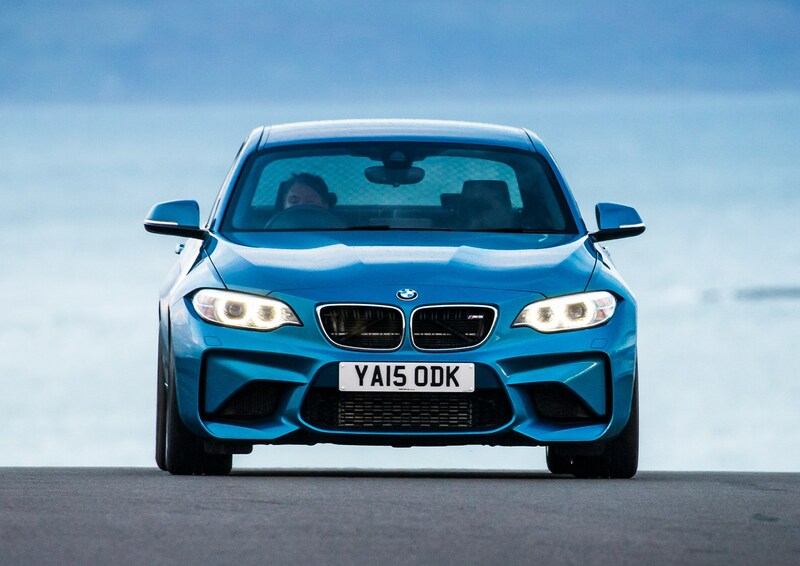 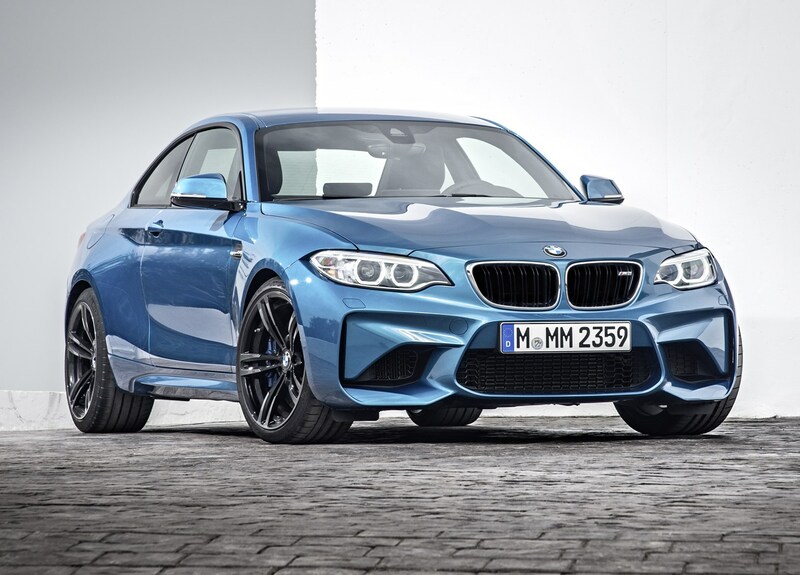 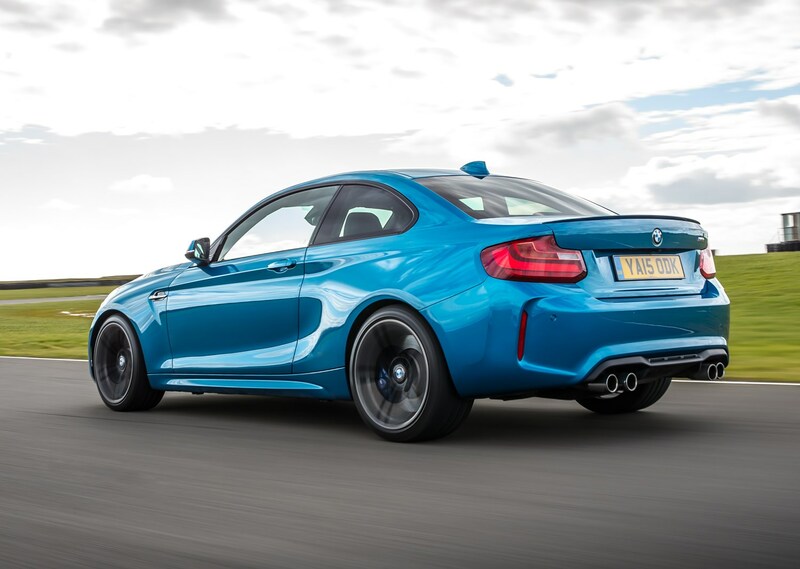 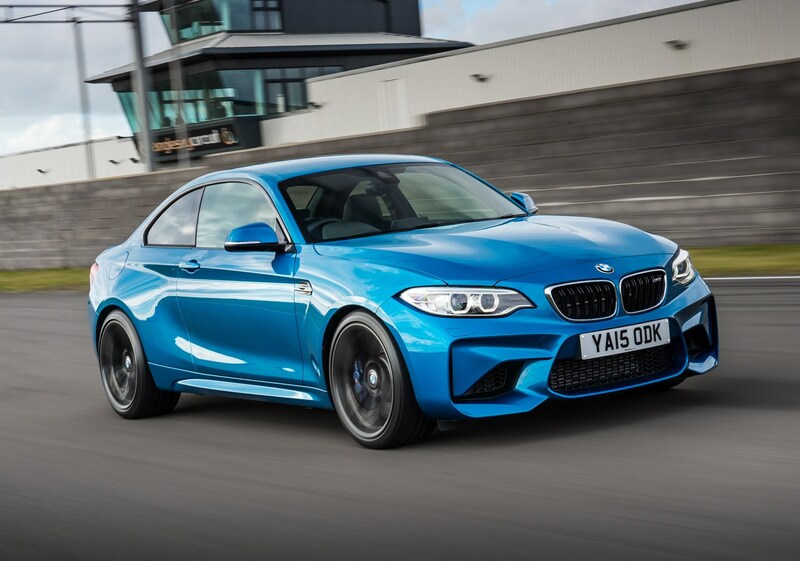 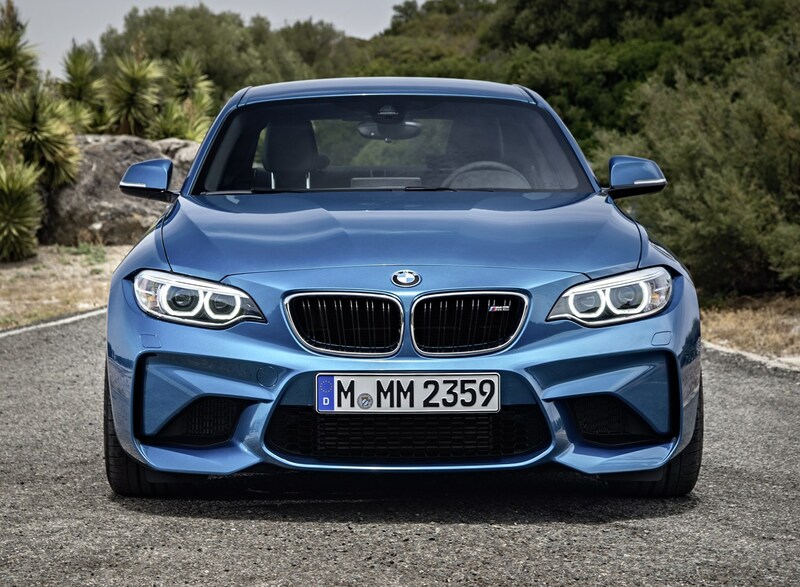 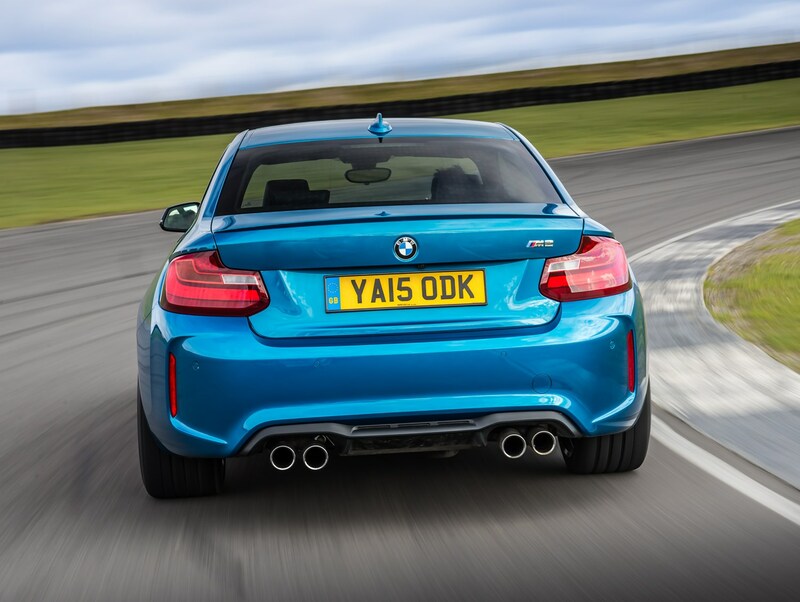 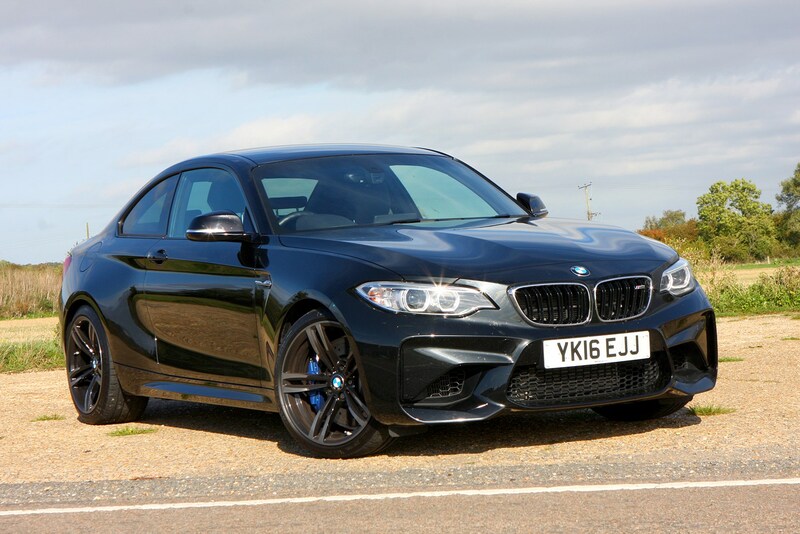 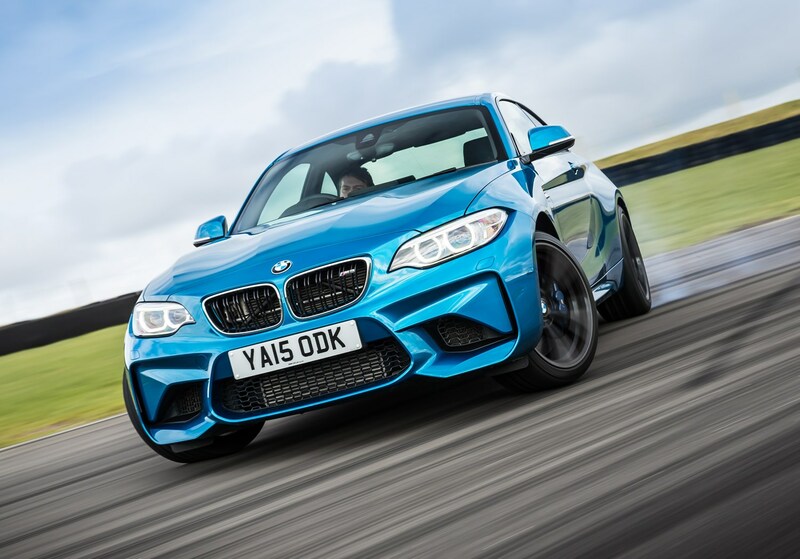 Read on for our comprehensive review to learn everything you need to know about the BMW M2.